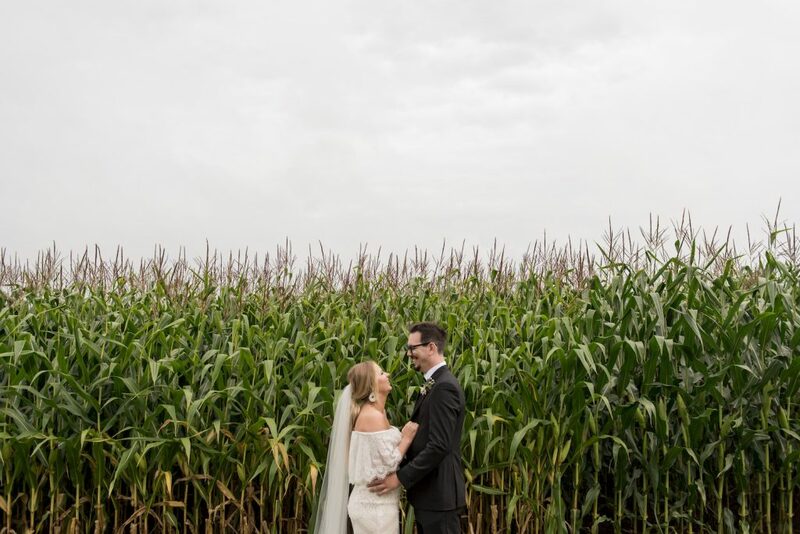 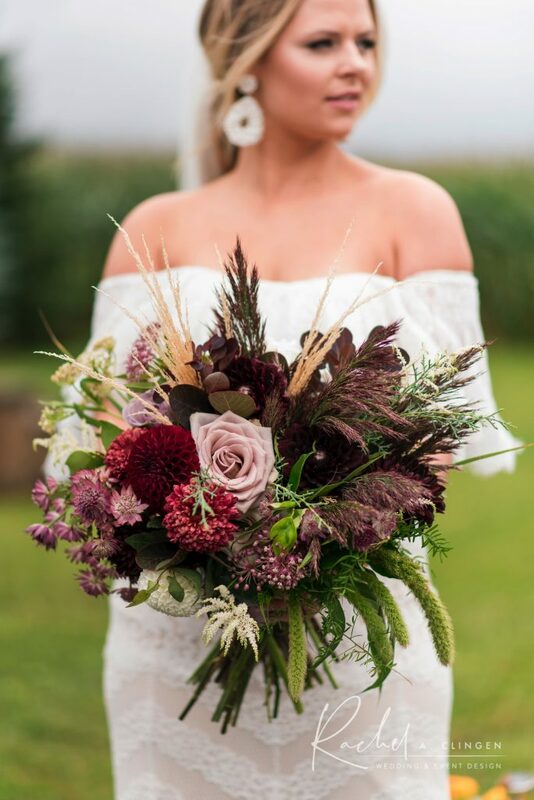 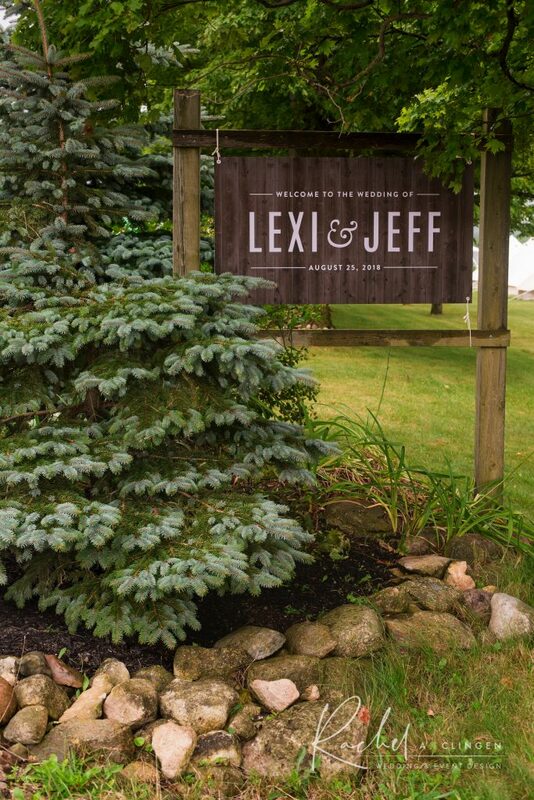 Ok bo-ho brides, check out Lexi and Jeff’s seriously stunning farm wedding! 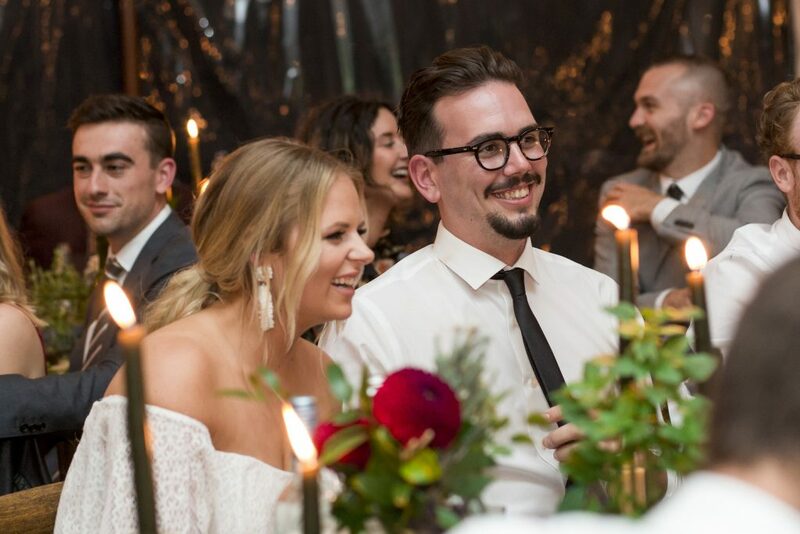 No stranger to design herself, our sweet and talented friend, Lexi of Paper And Poste and her handsome beau, wanted a guest experience to remember. 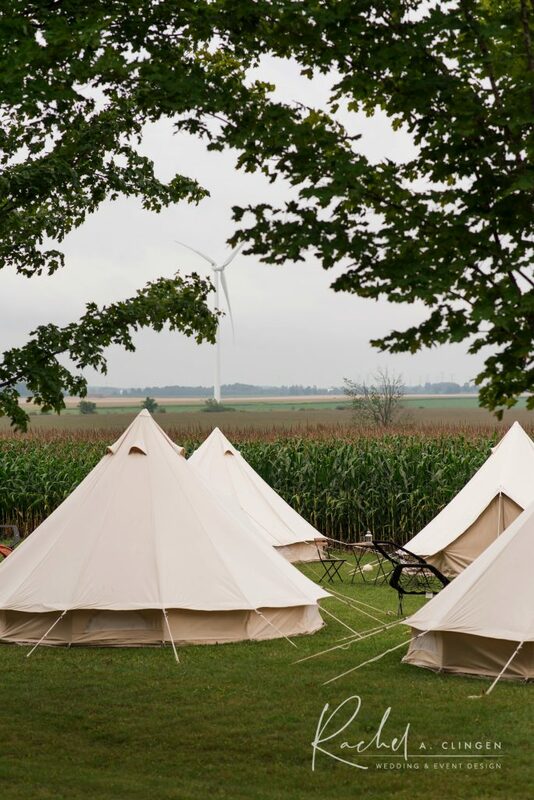 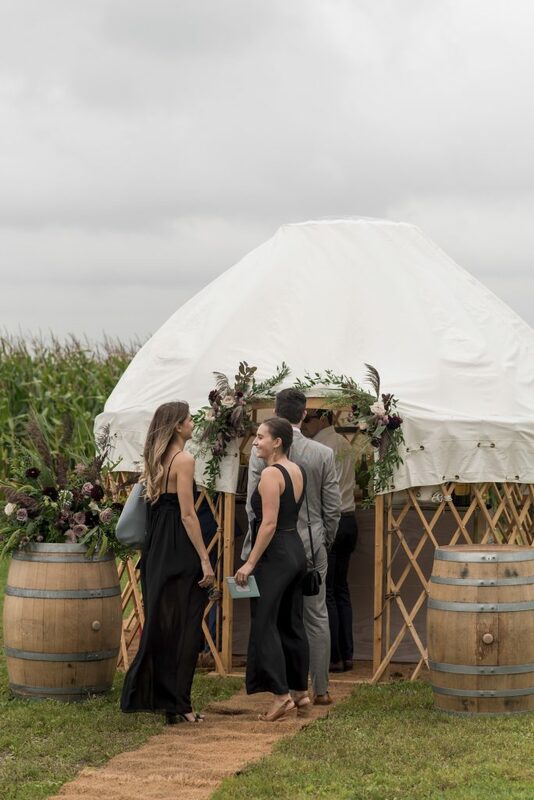 The attendees settled right into the cool vibe of the weekend and had a taste of glamping in the coolest yurts. 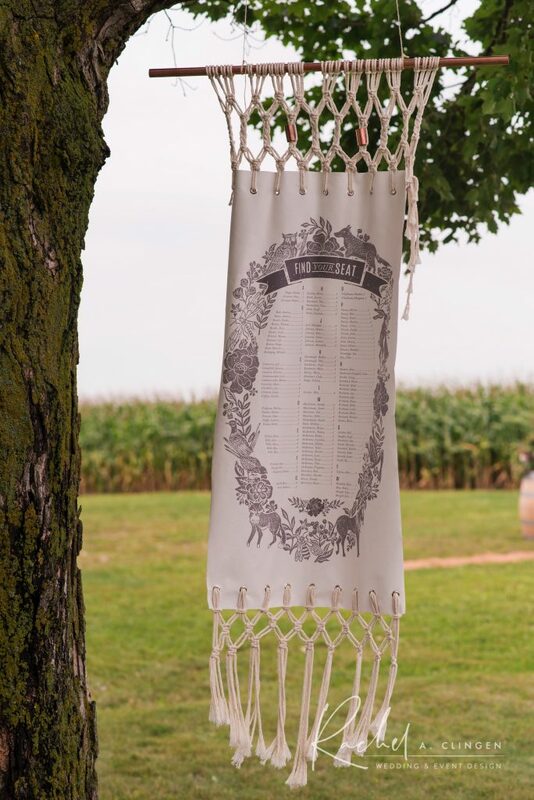 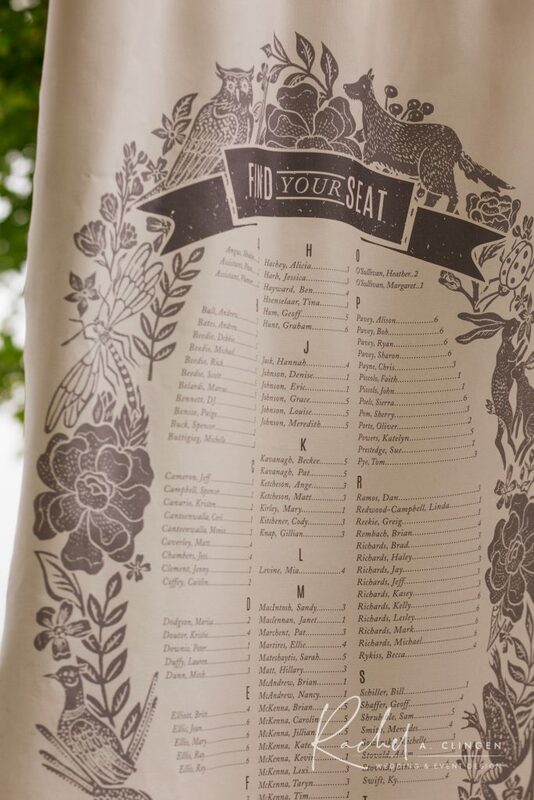 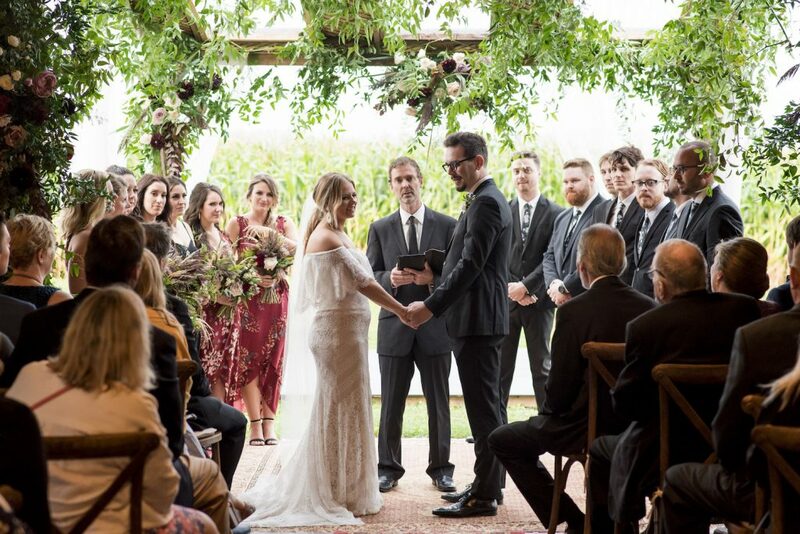 The bride designed the hippest fringed seating chart which hung from a tree. 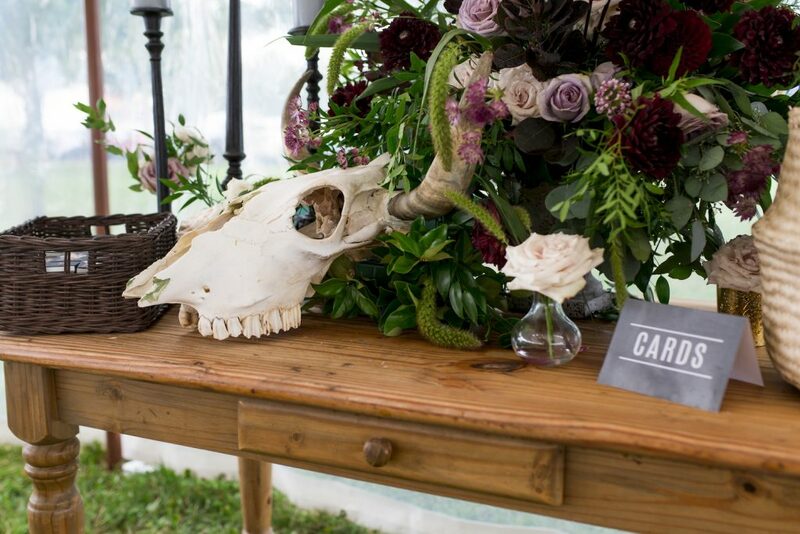 We designed the floral and decor to include potted herbs and even a long horn steer skull, and did I mention a floral wreath for the donkey? 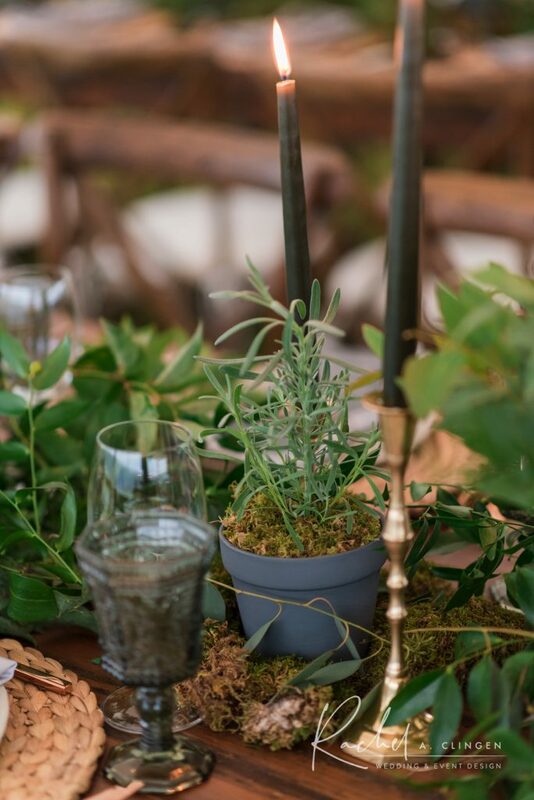 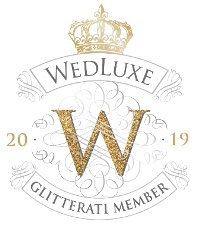 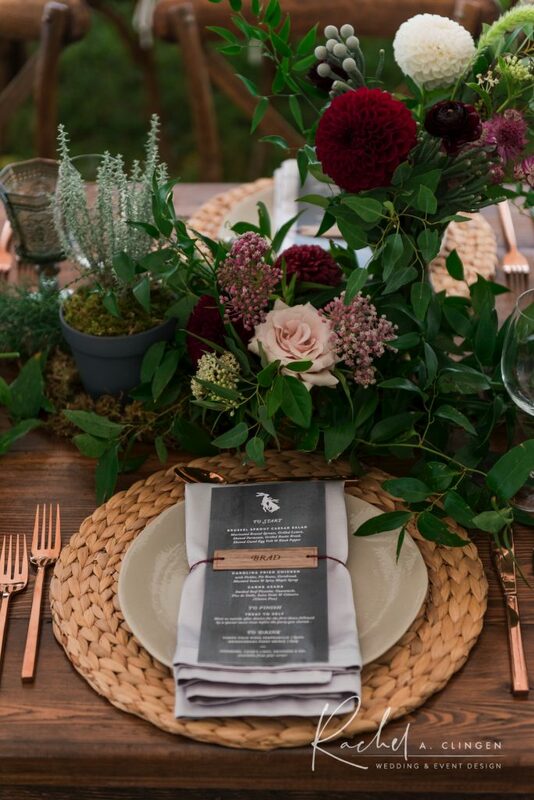 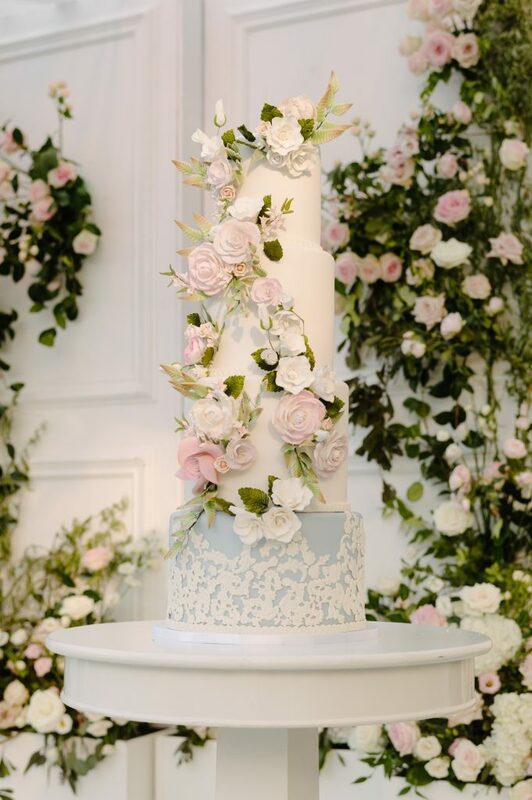 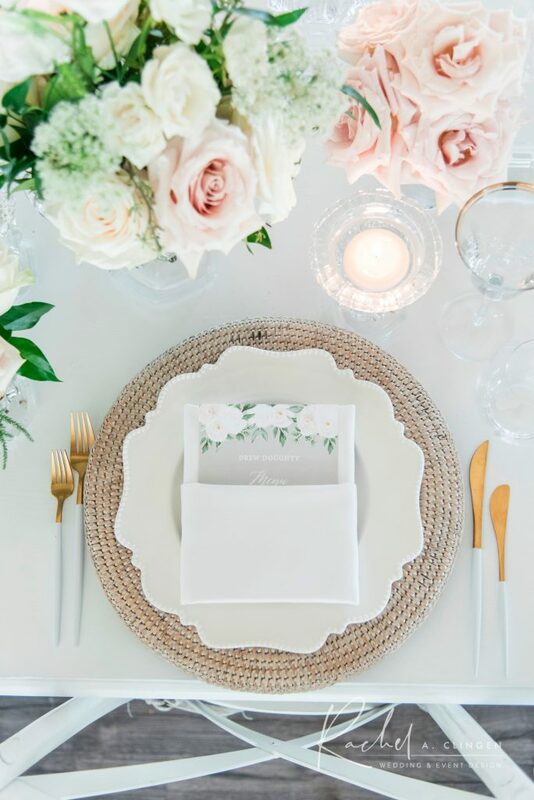 It was such a fun and creative day collaborating with wedding planner Shealyn from Shealyn Angus Events and you can be sure we and the guests won’t be forgetting this one! 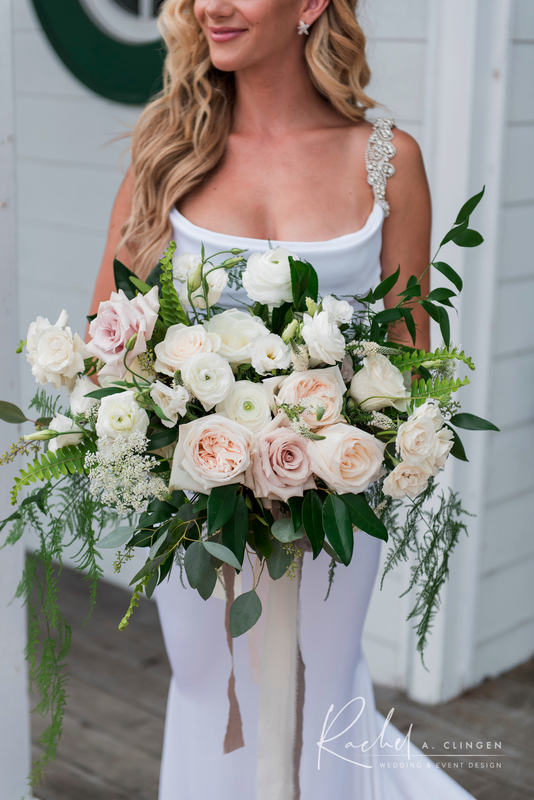 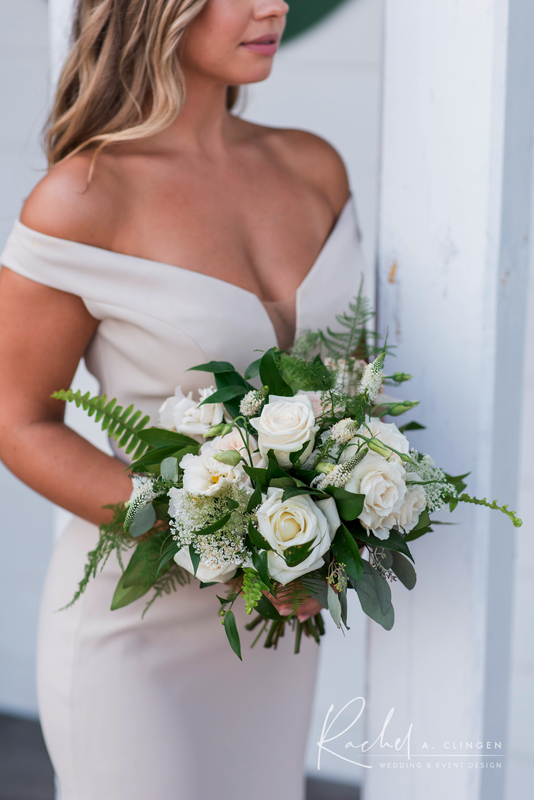 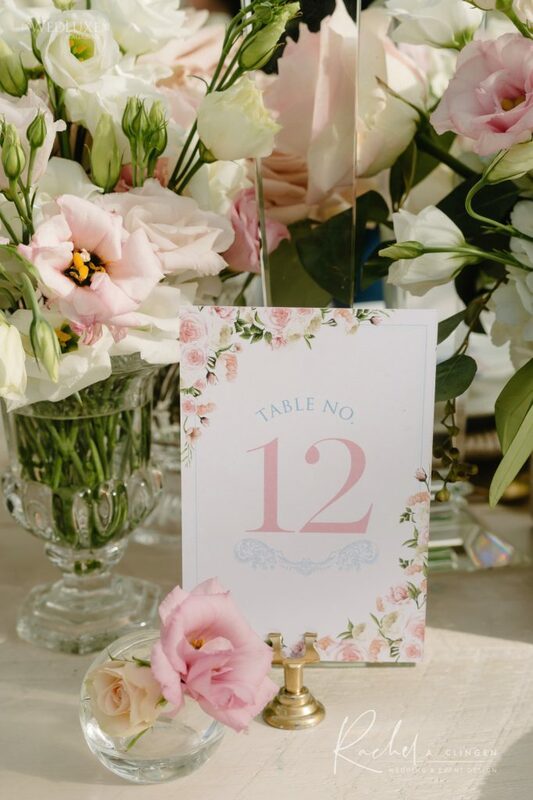 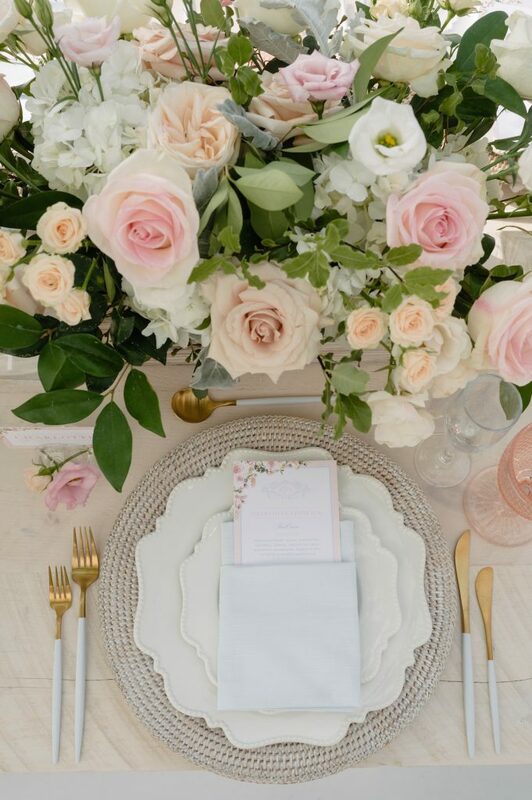 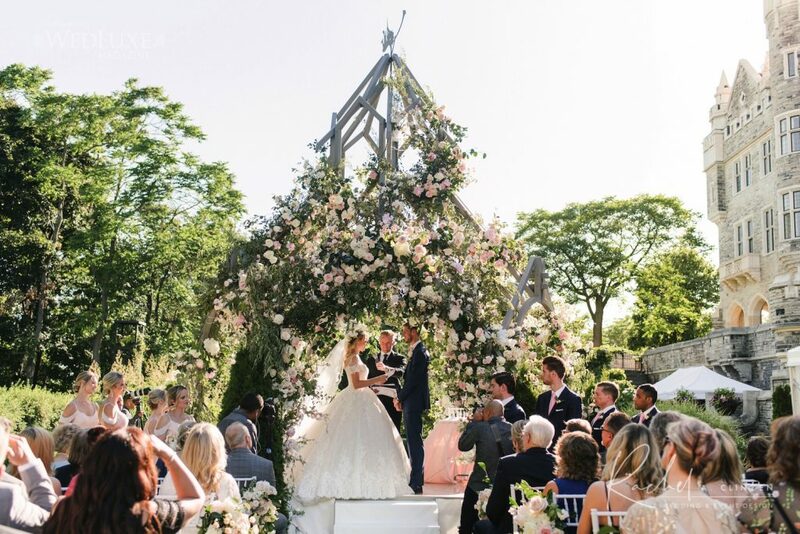 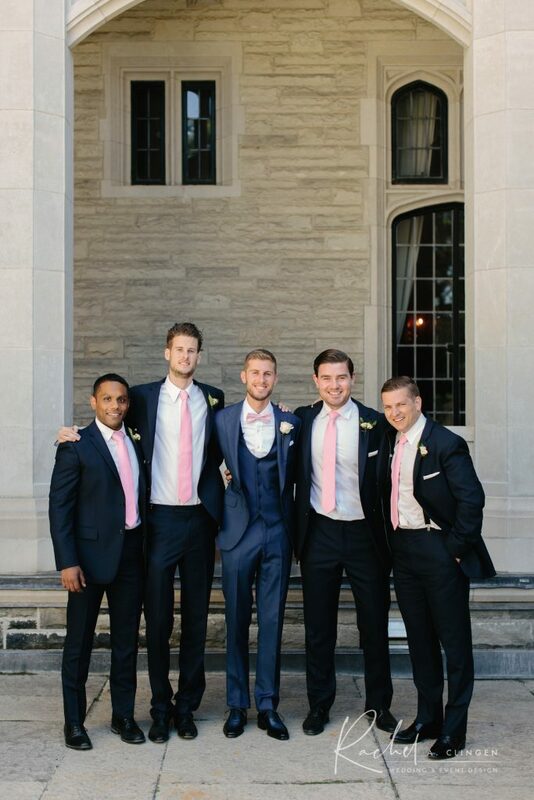 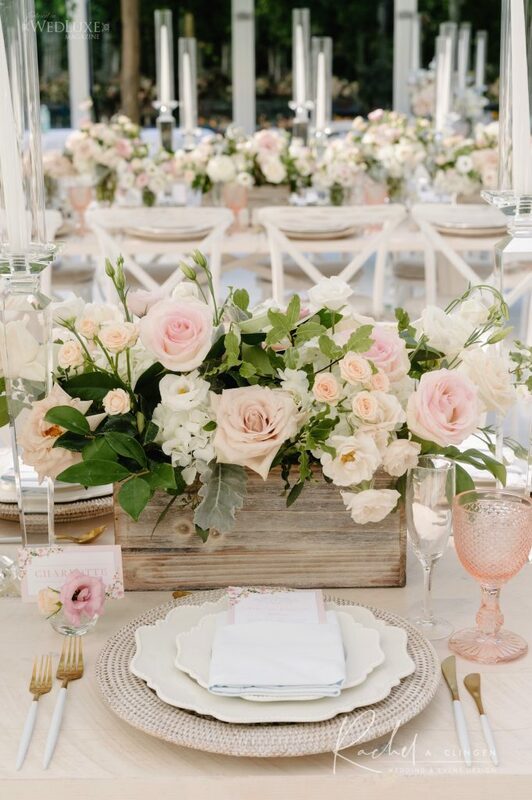 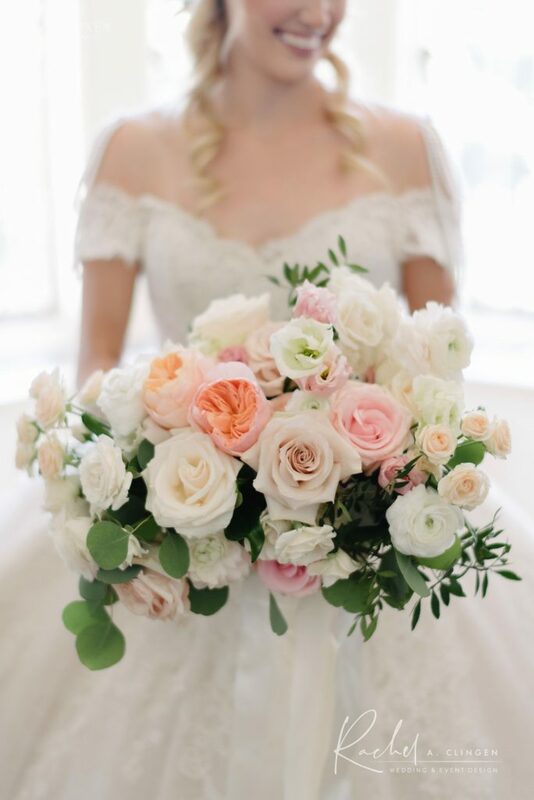 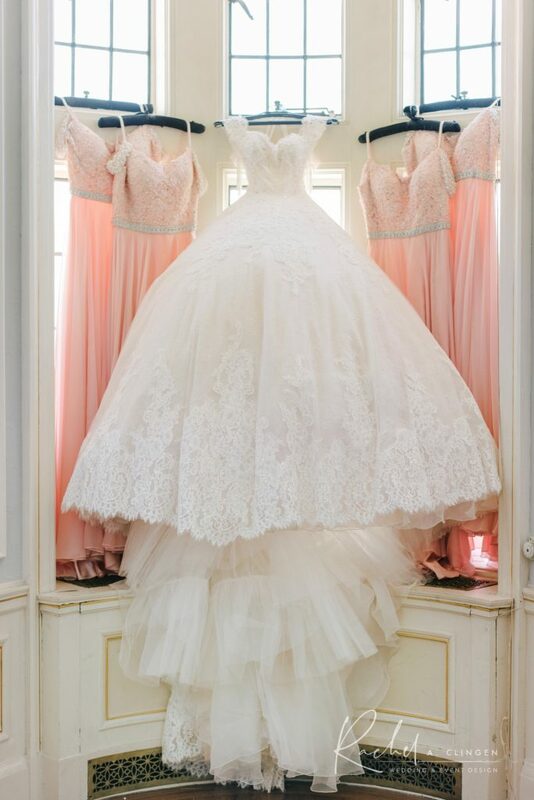 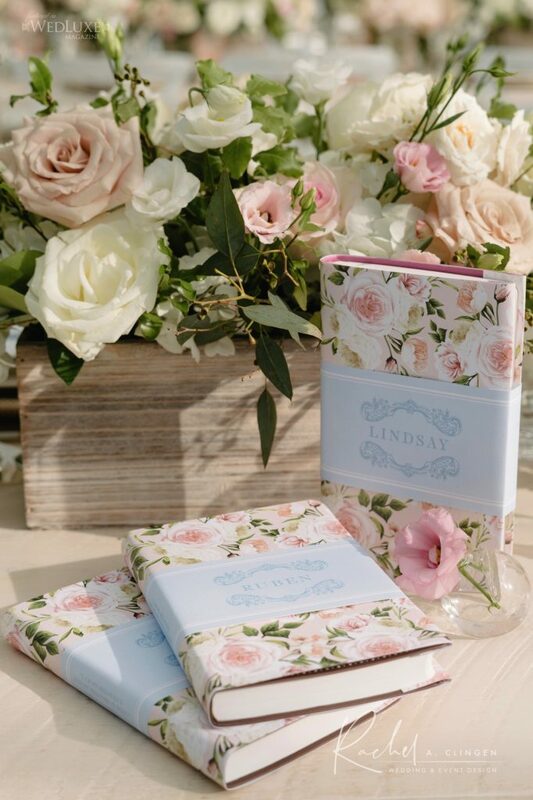 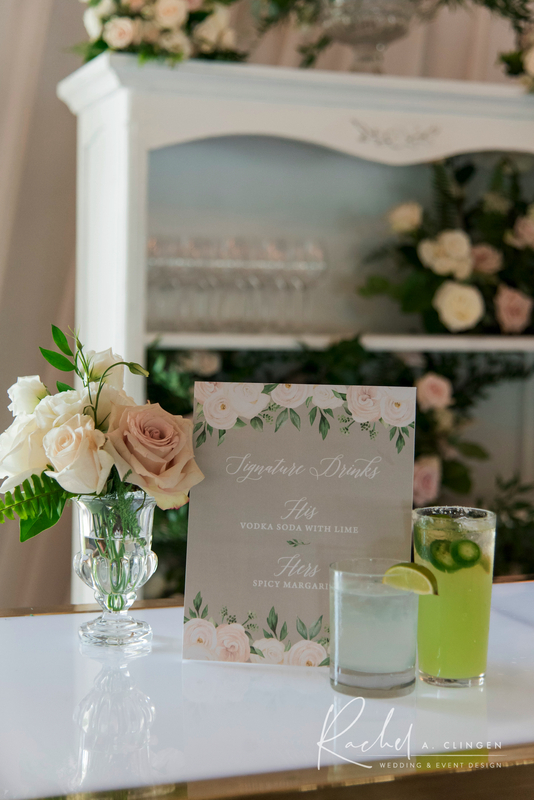 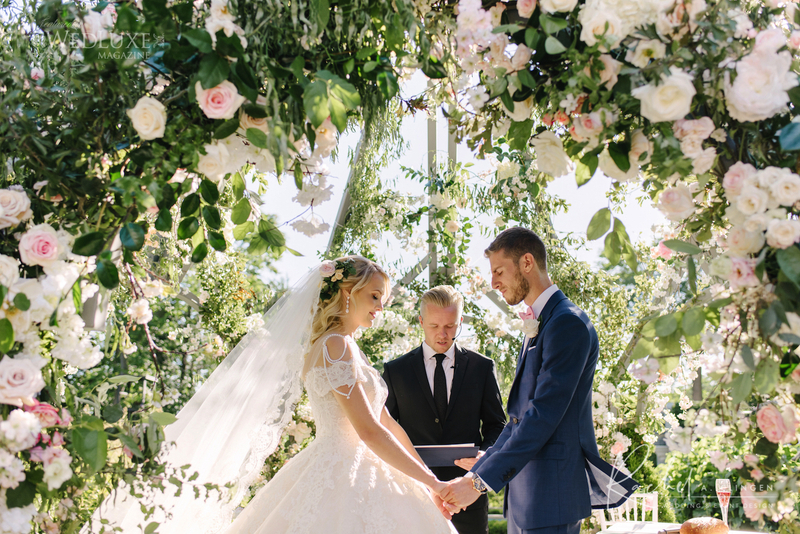 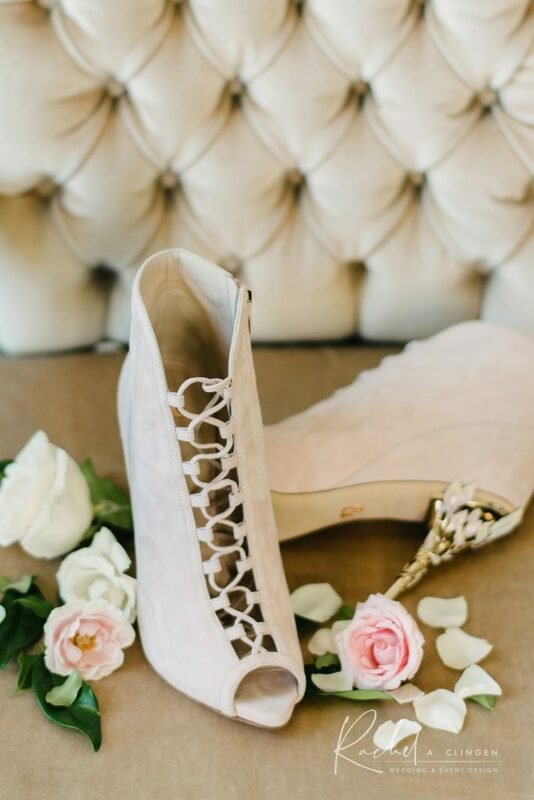 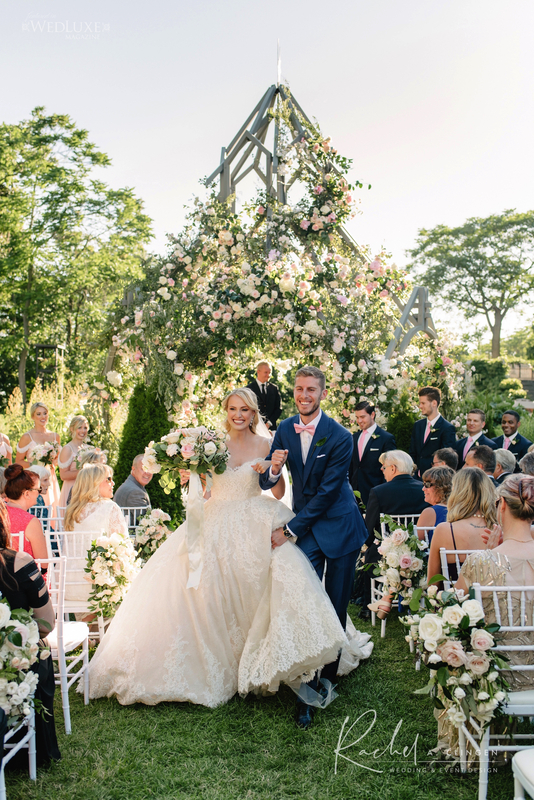 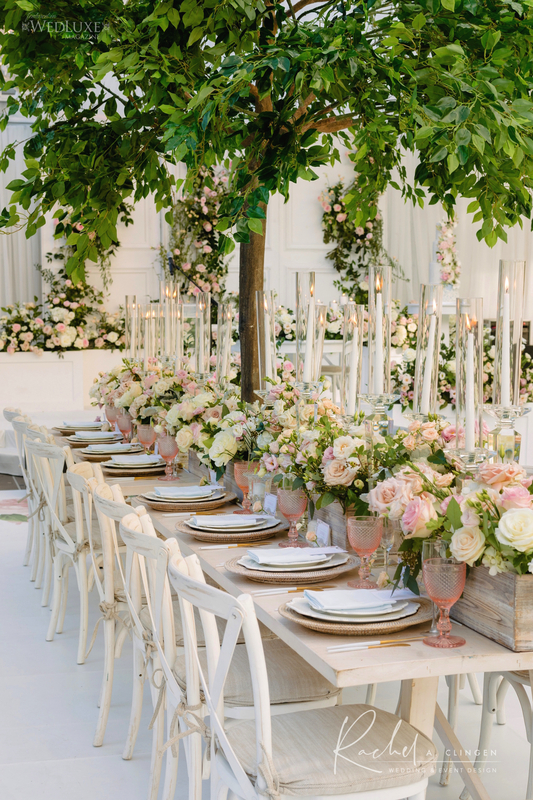 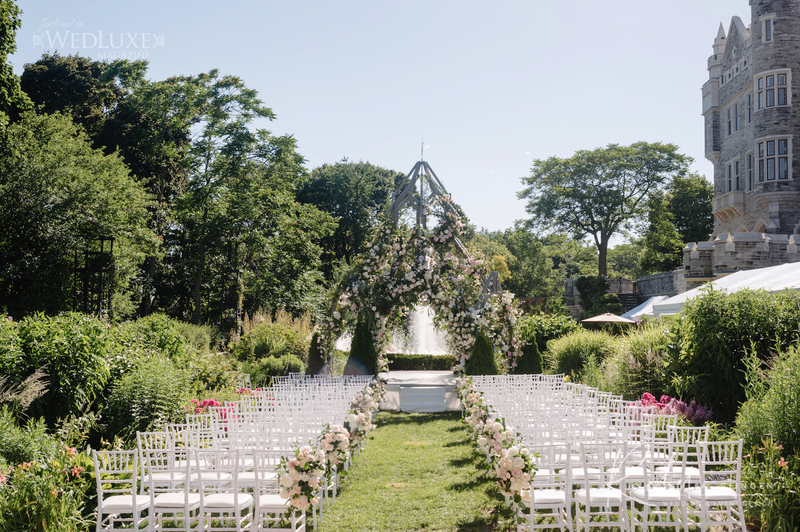 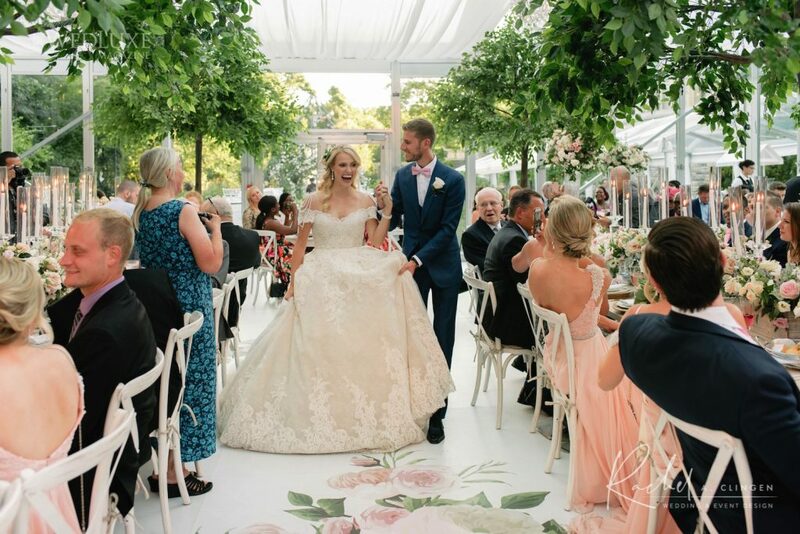 Inspired by their love for the romance and pastel palettes of Nantucket, (where they were engaged) Kristin and Stephens pretty Casa Loma wedding was an extension of their story book romance. 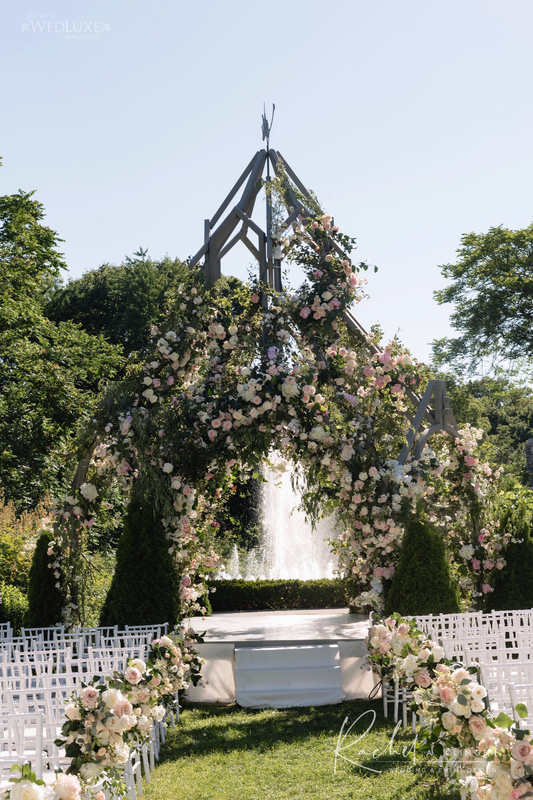 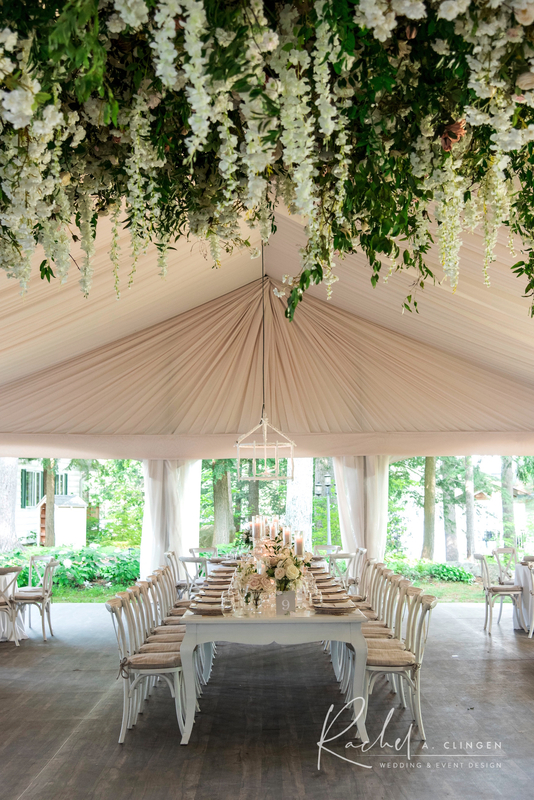 We incorporated the trailing rose trellis’ theme with a most spectacular custom floral gazebo where the couple exchanged vows. 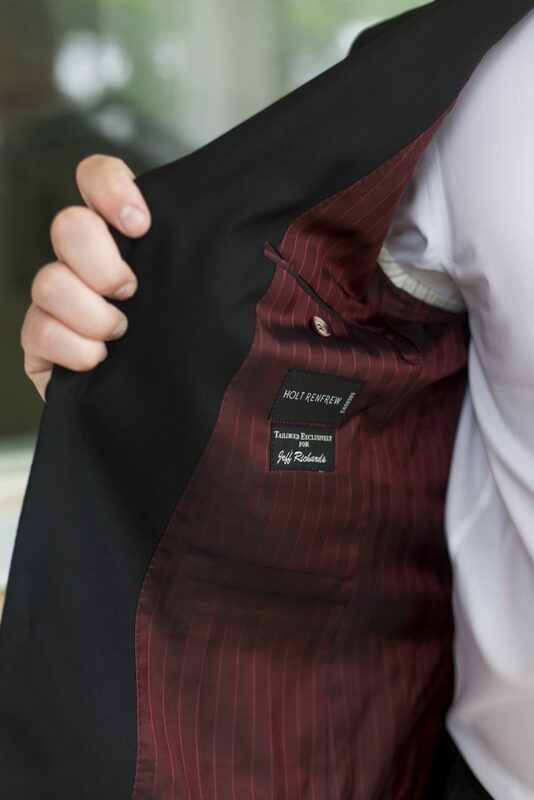 No detail was overlooked. 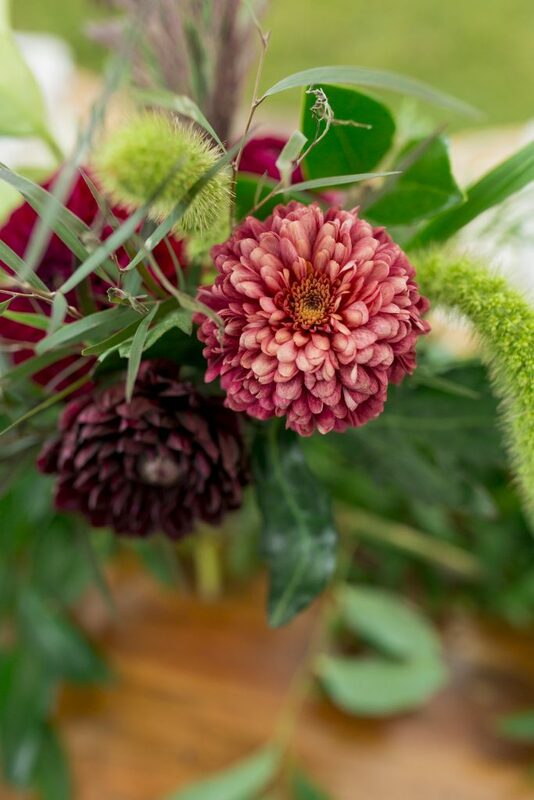 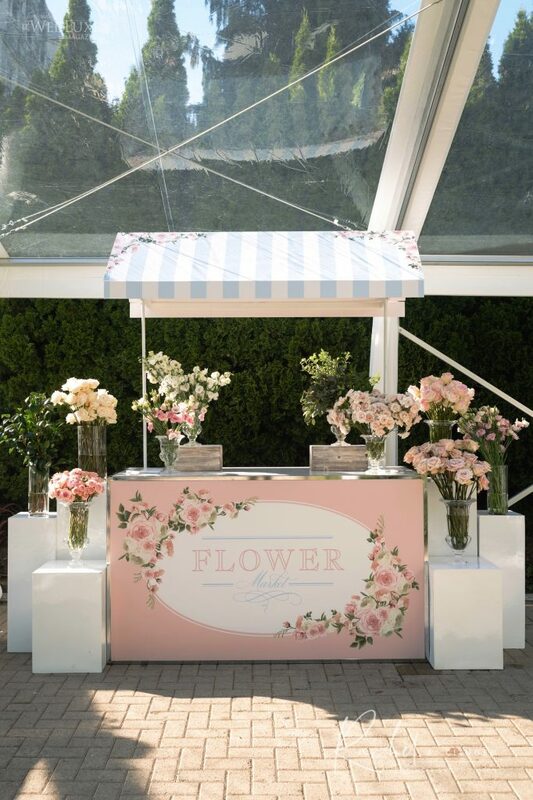 Guests were treated to our floral market station where the ladies could pick their collection of blooms to be wrapped and take home. 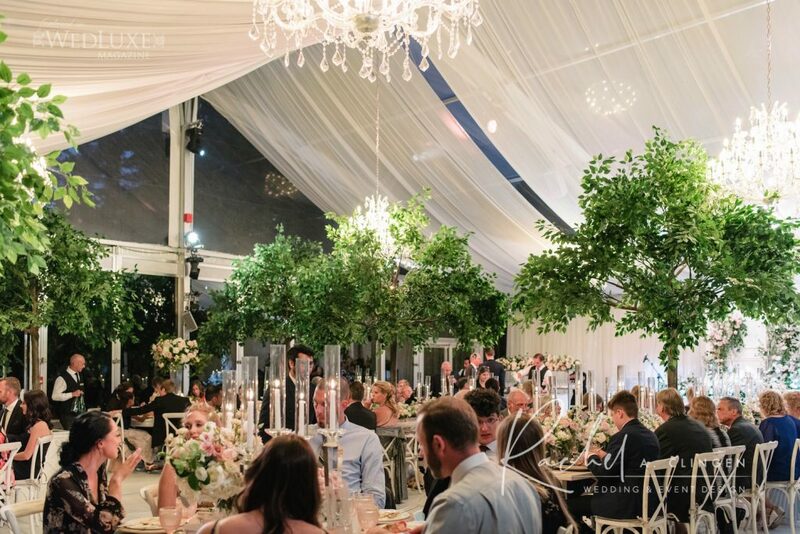 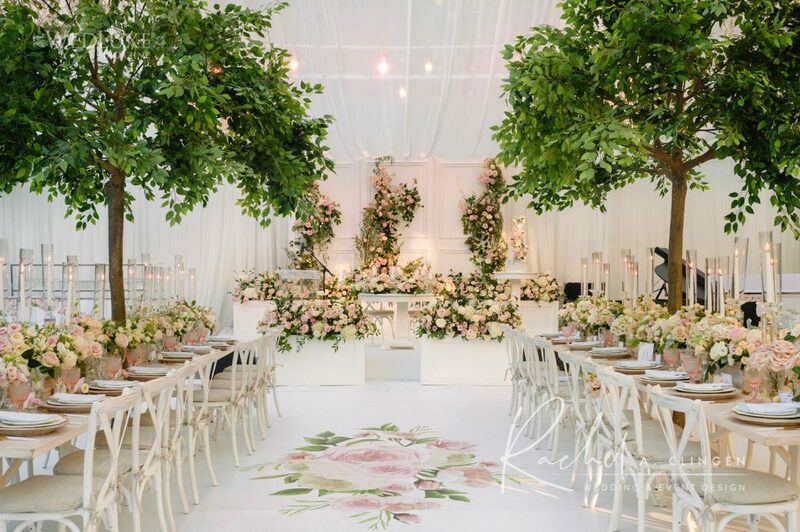 We brought the gardens into the pavilion tent at Casa Loma with our life size trees and bountiful florals. 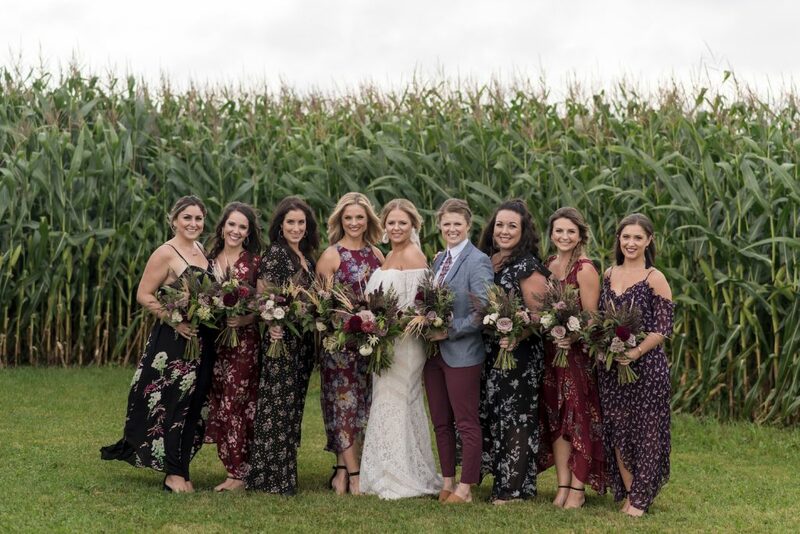 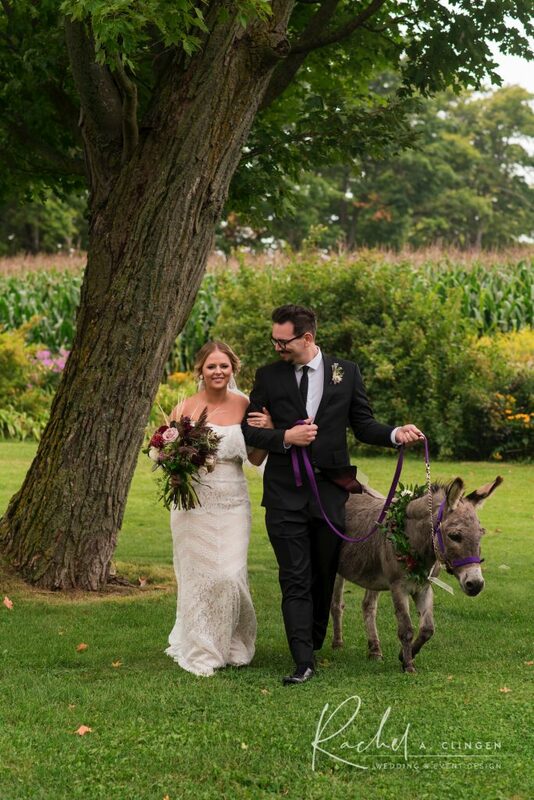 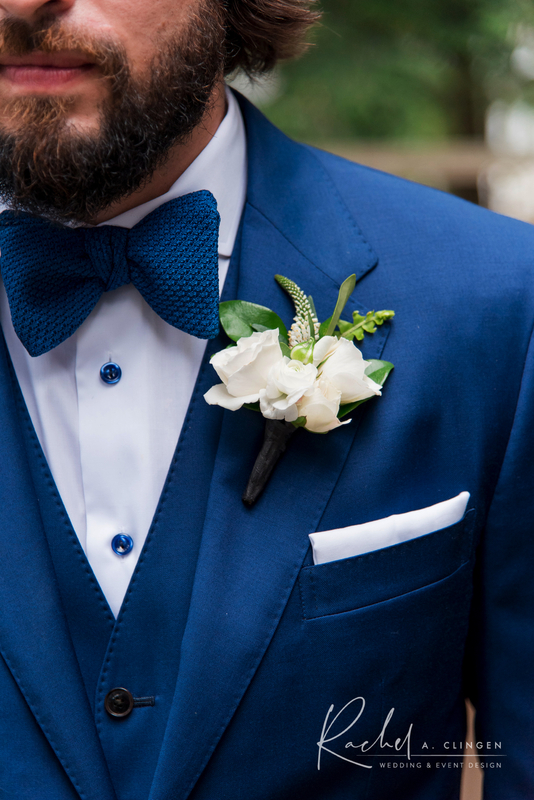 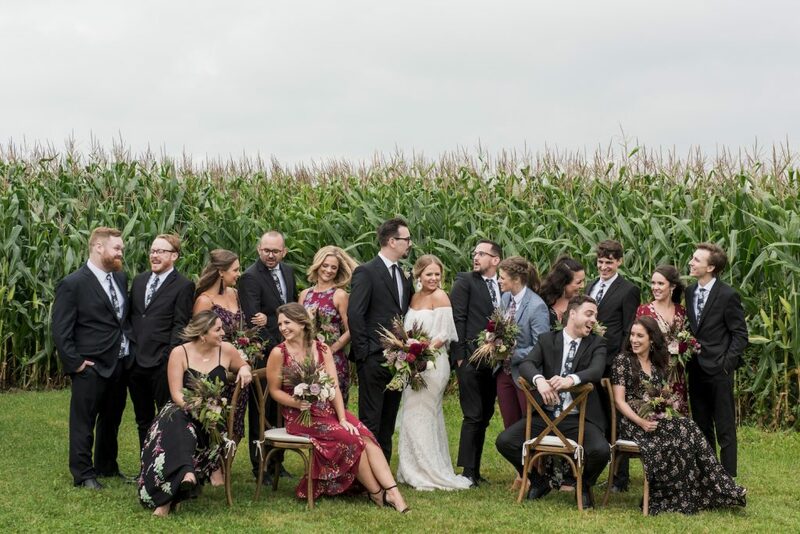 A stellar roster of Toronto wedding vendors came together to create magic for Kristin and Stephen including wedding planner Melissa Baum. 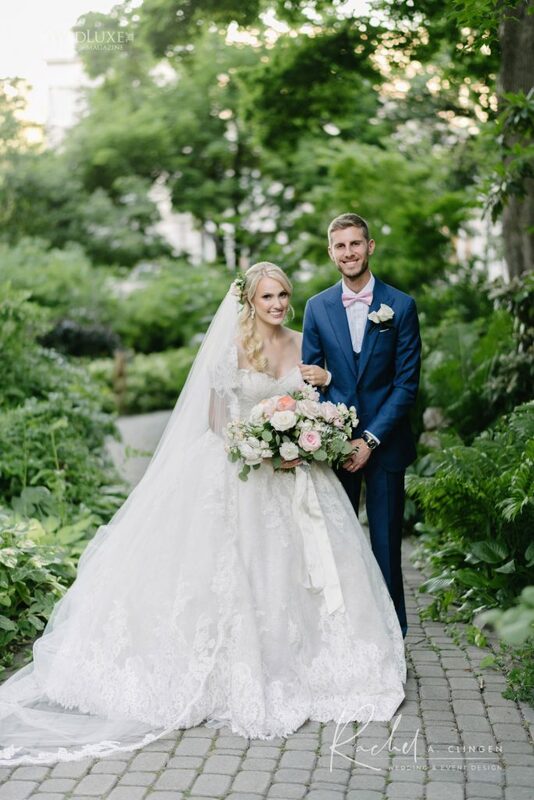 Congratulations Stephen and Kristin. 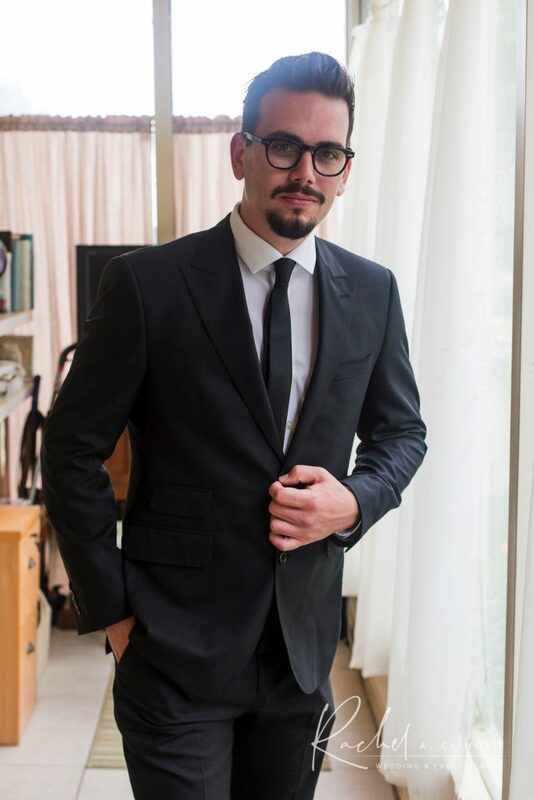 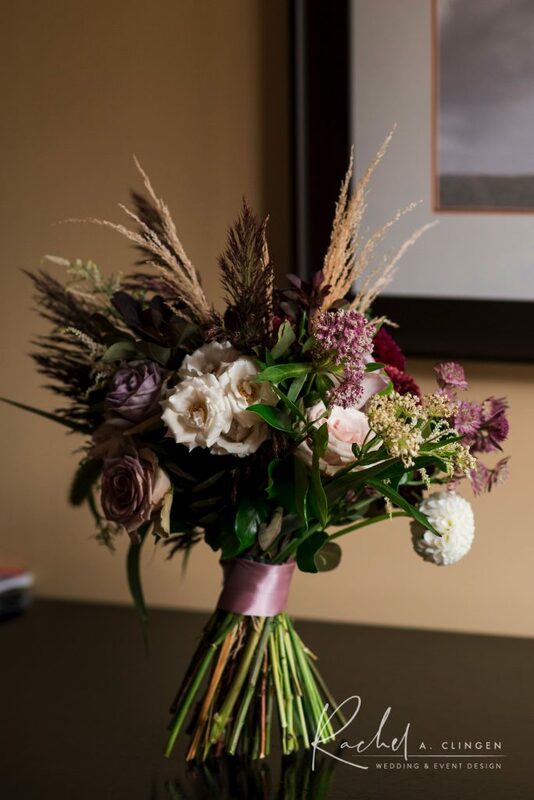 Such a pleasure to work with you! 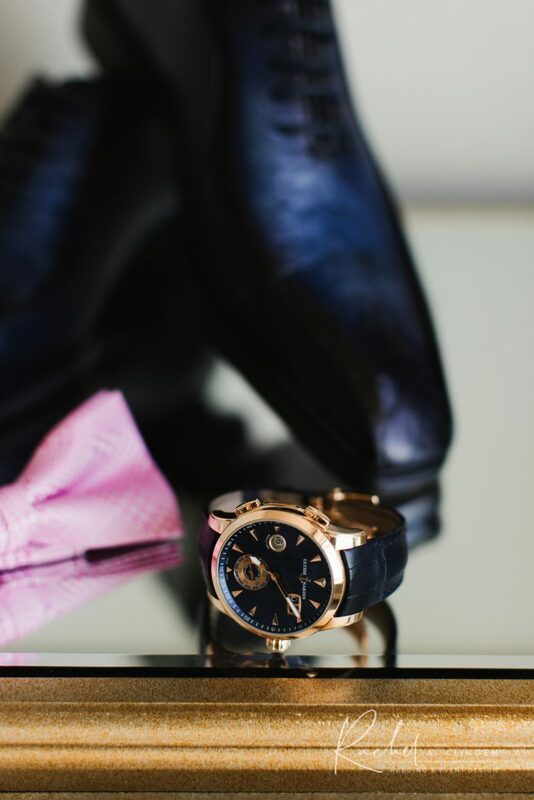 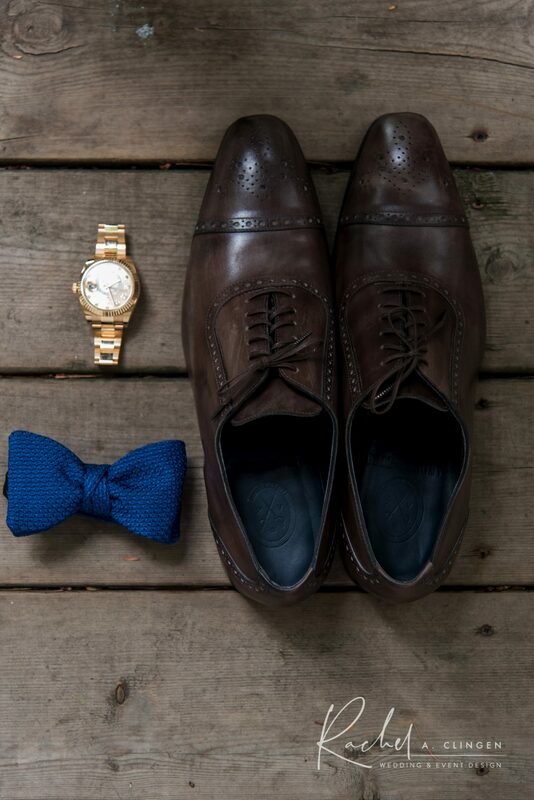 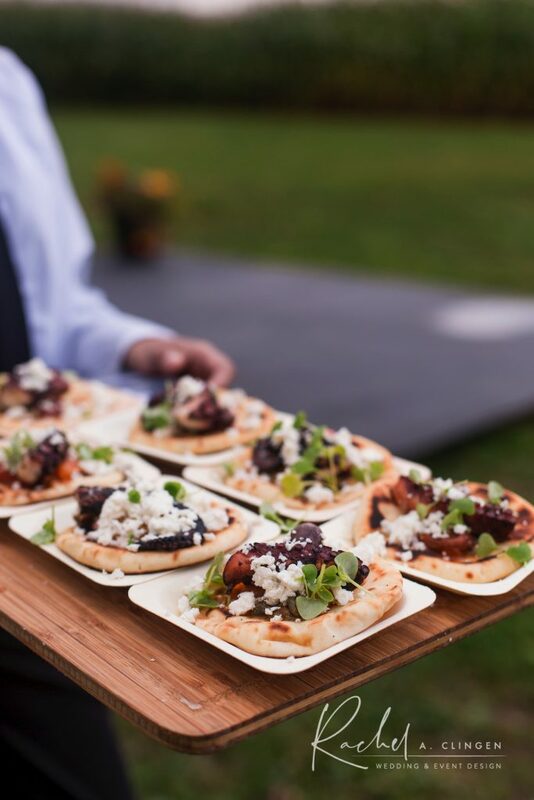 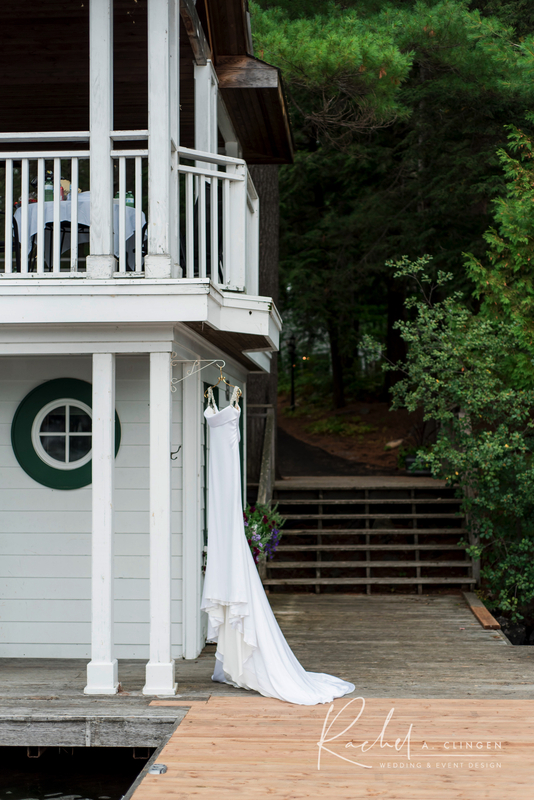 Drew and Nicole wanted an elegantly casual Muskoka wedding. 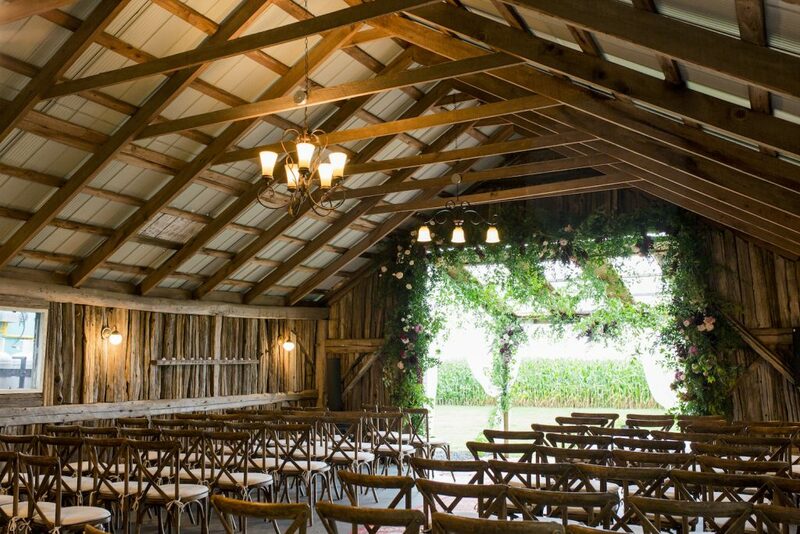 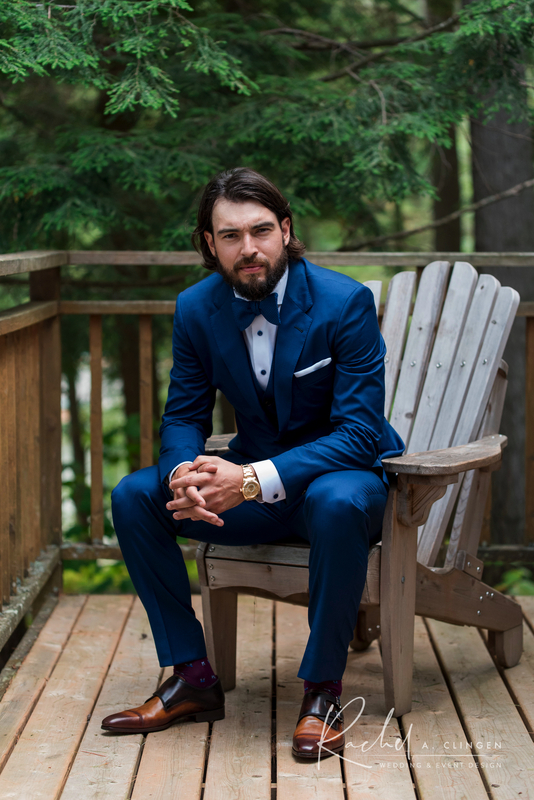 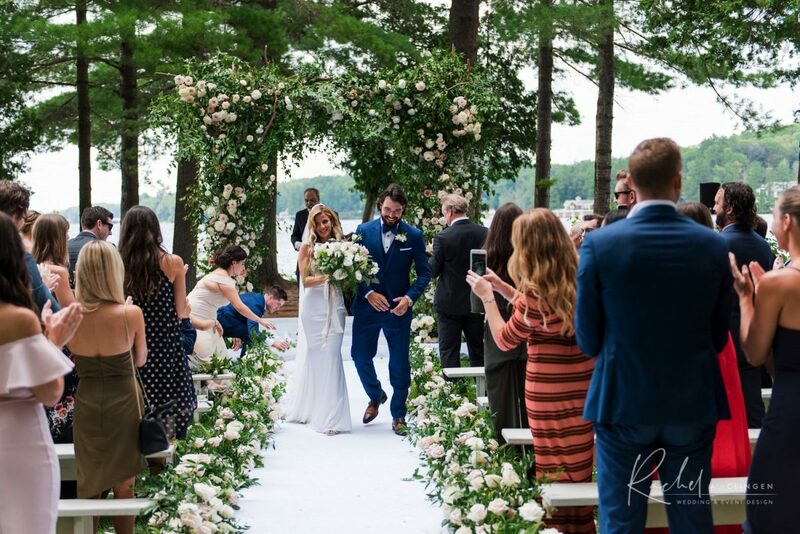 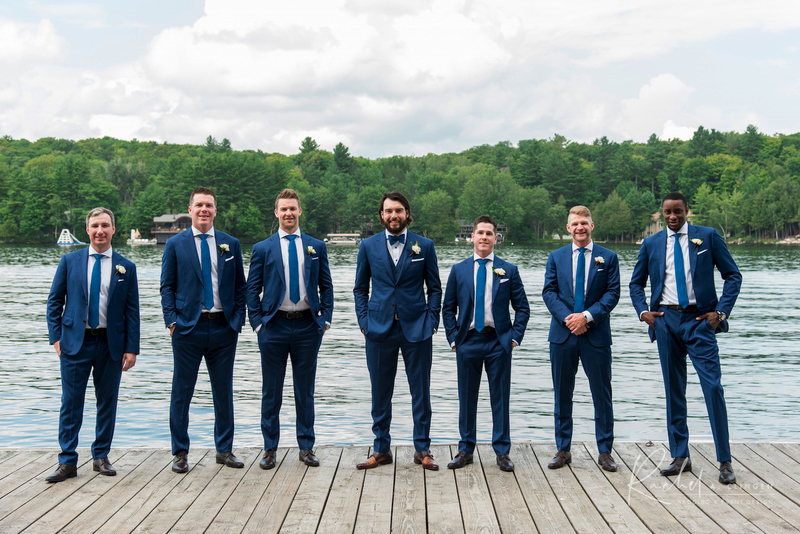 Drew Doughty plays NHL hockey for the L.A Kings, but their Canadian roots led them to host their special day in Canada’s Muskoka region at the Sherwood Inn. 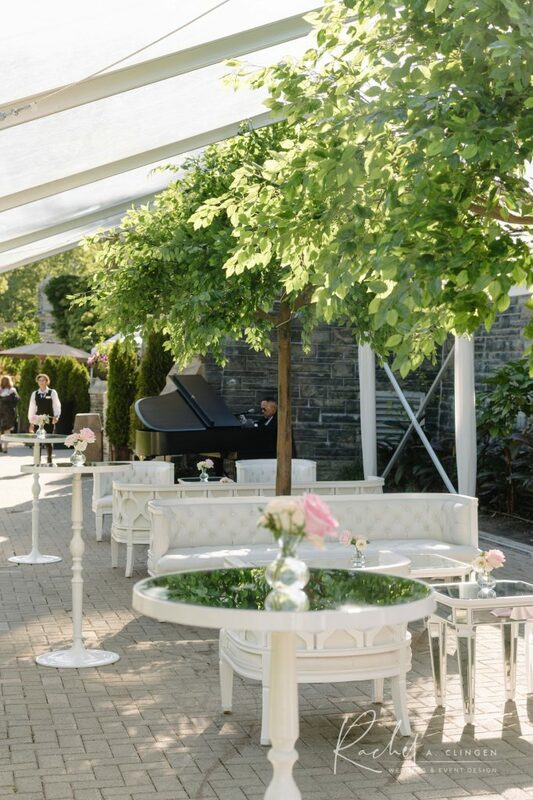 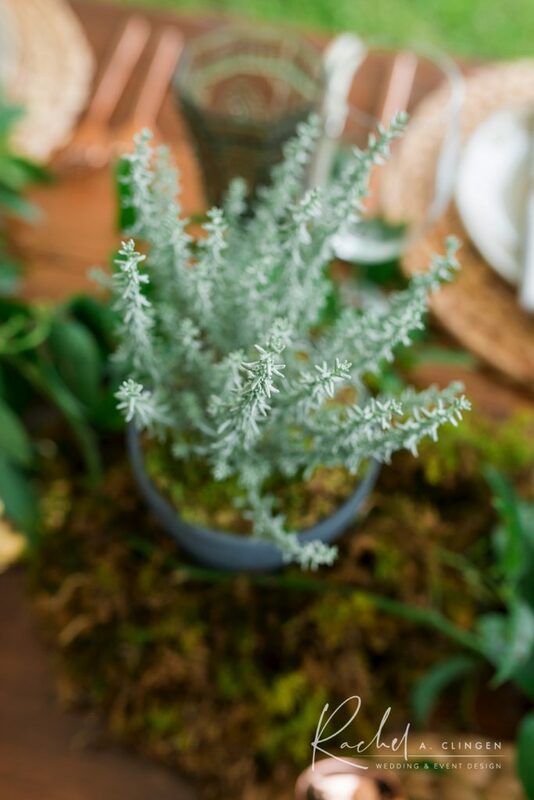 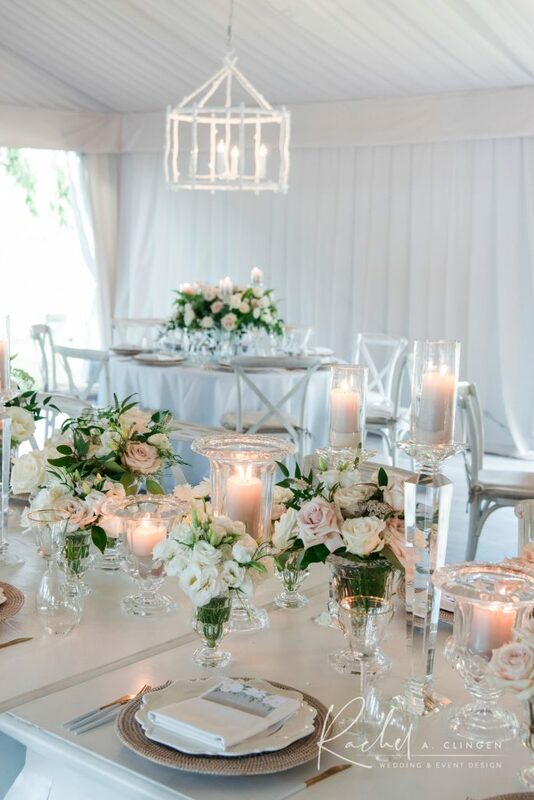 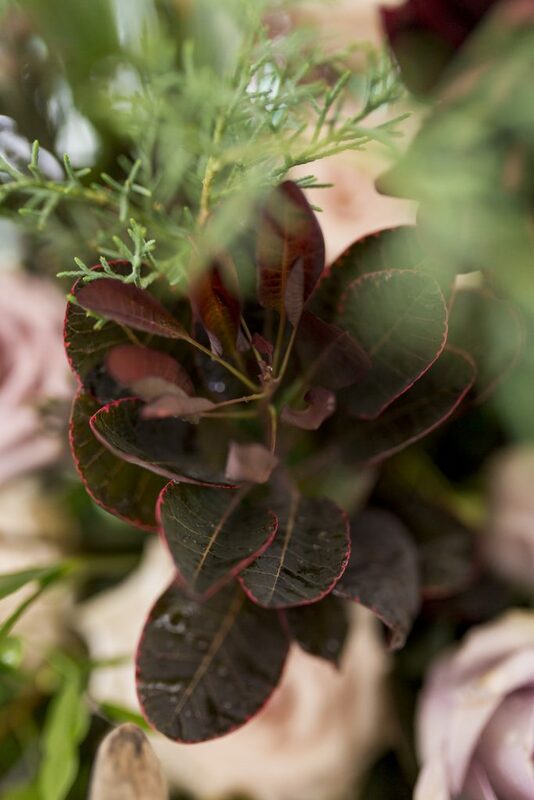 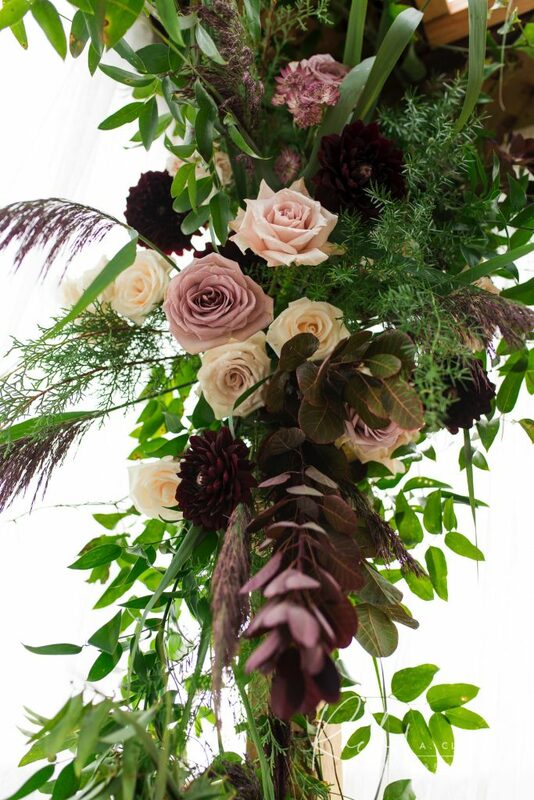 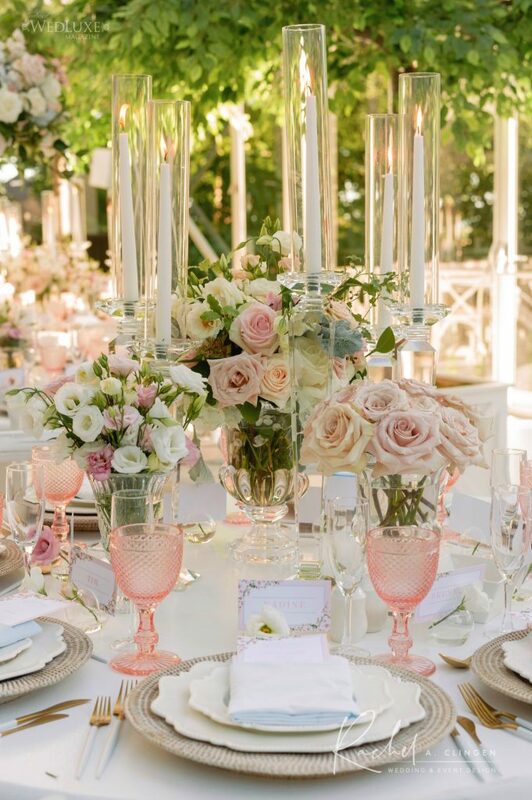 We had the most fabulous time designing their pretty wedding with the amazing Toronto wedding planner Ashley Pigott. 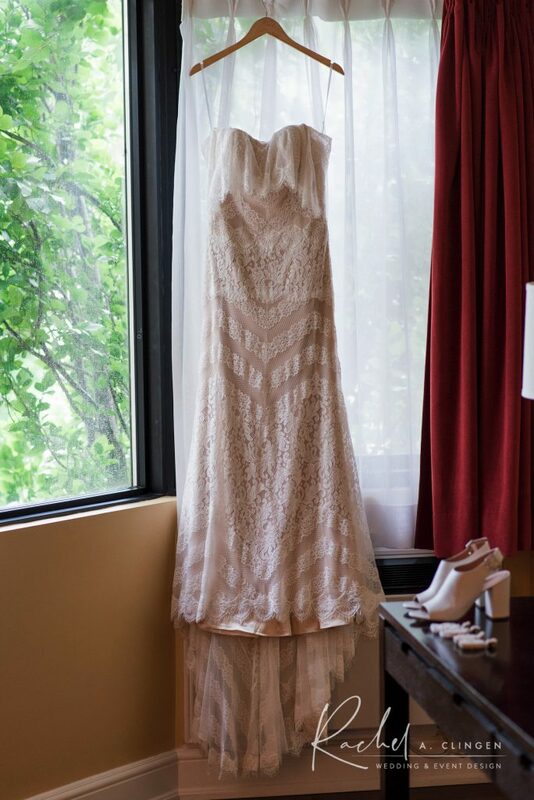 Nicole is a notable fashion photographer and her creative eye was an asset in every creative meeting. 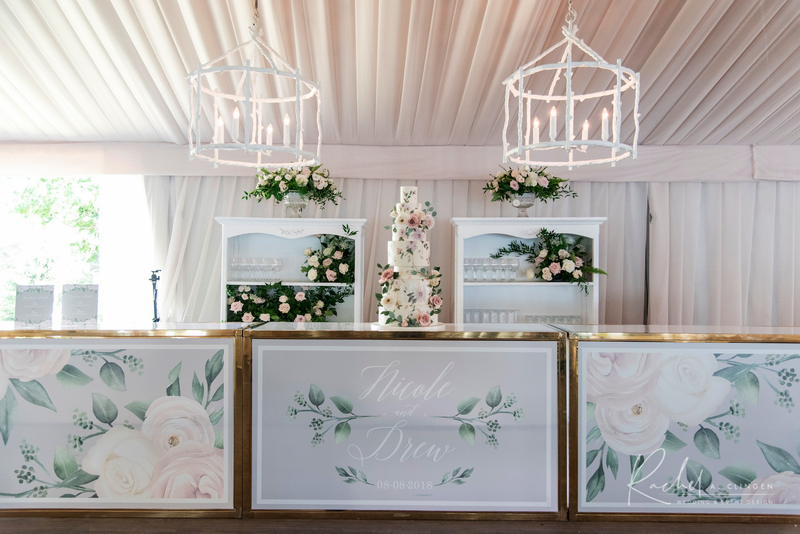 The design for the decor and flowers reflected Nicoles’ down-to-earth relaxed and friendly personality. 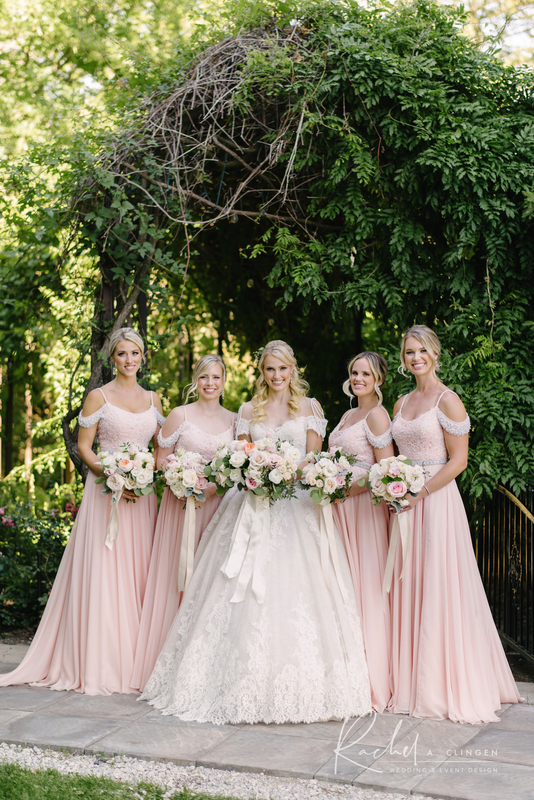 Soft and pretty but approachable was the goal! 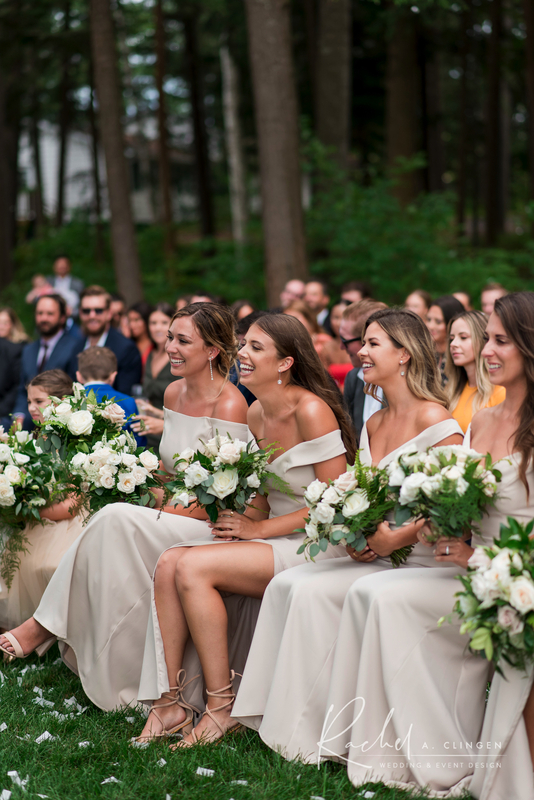 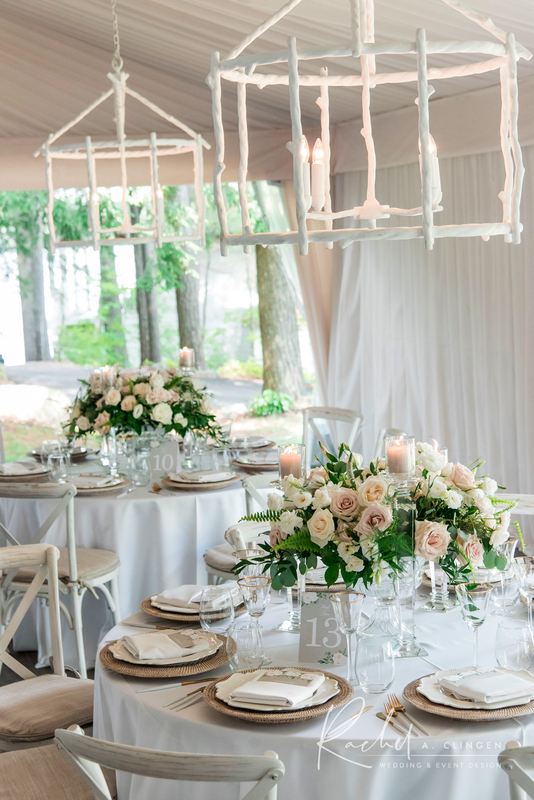 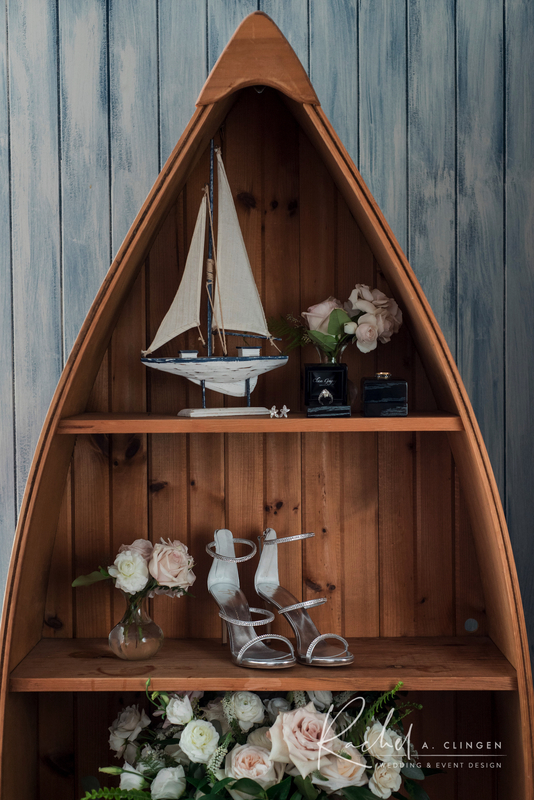 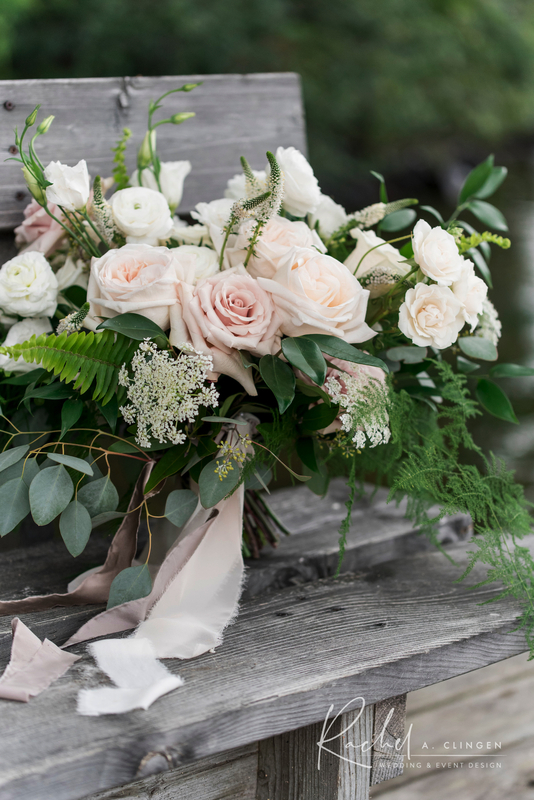 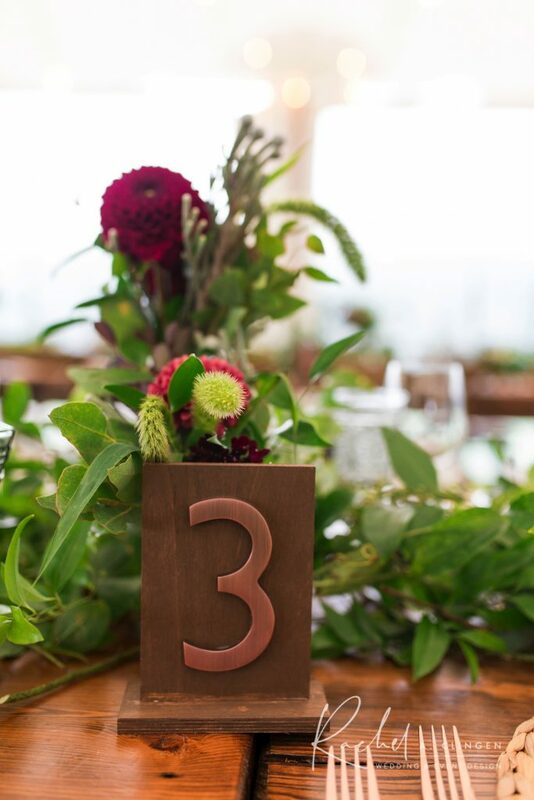 Not pretentious or overdone, this Muskoka wedding was the essence of rustic elegance. 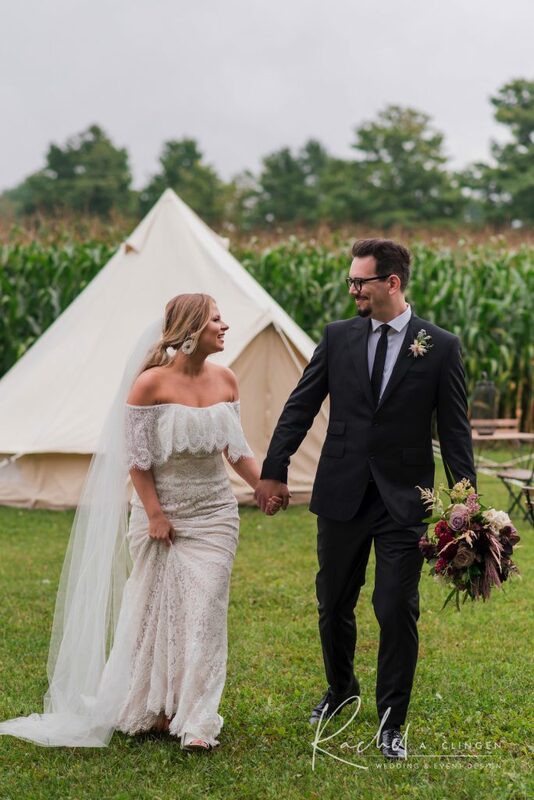 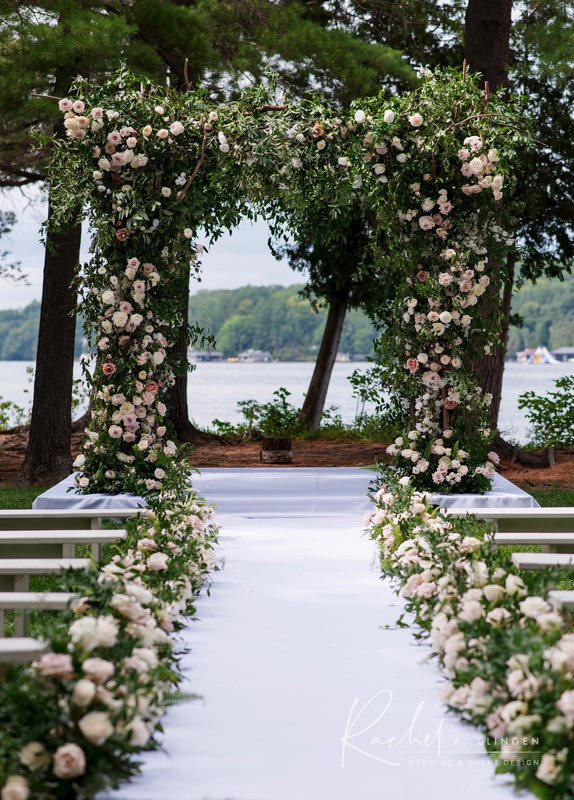 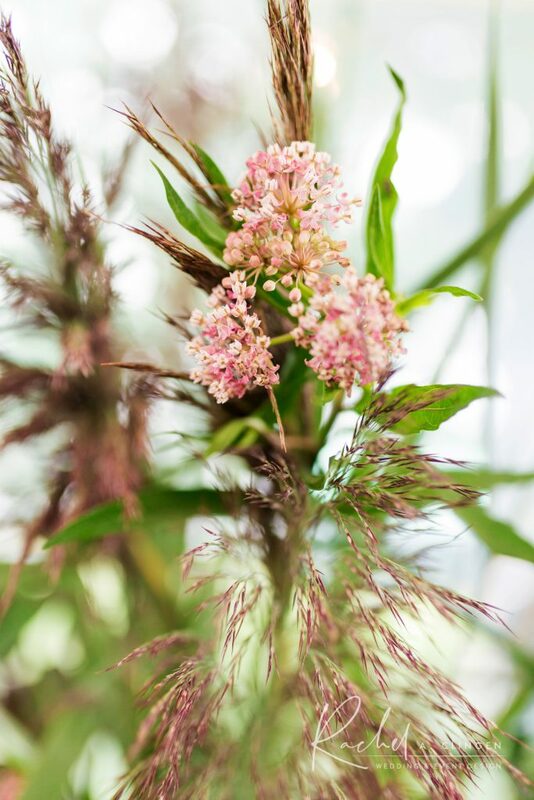 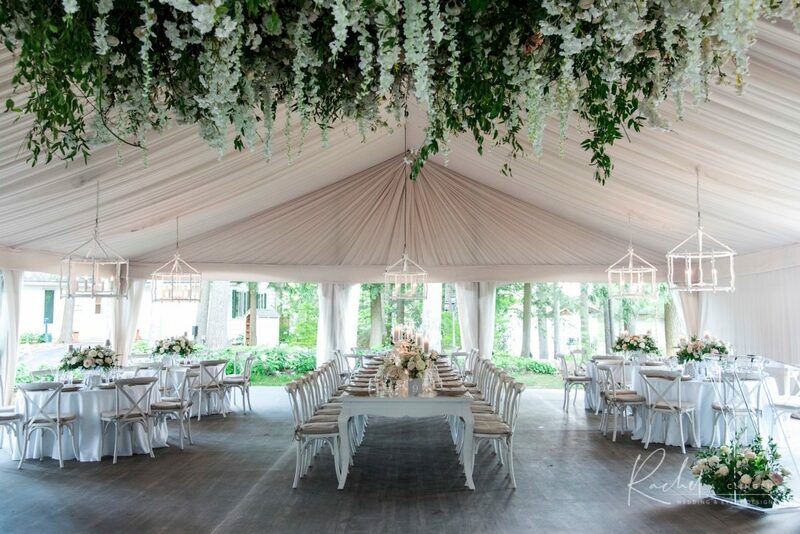 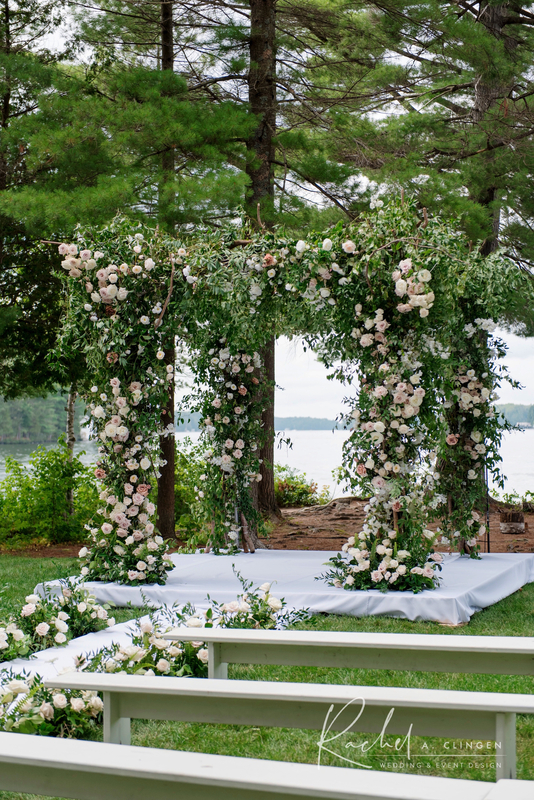 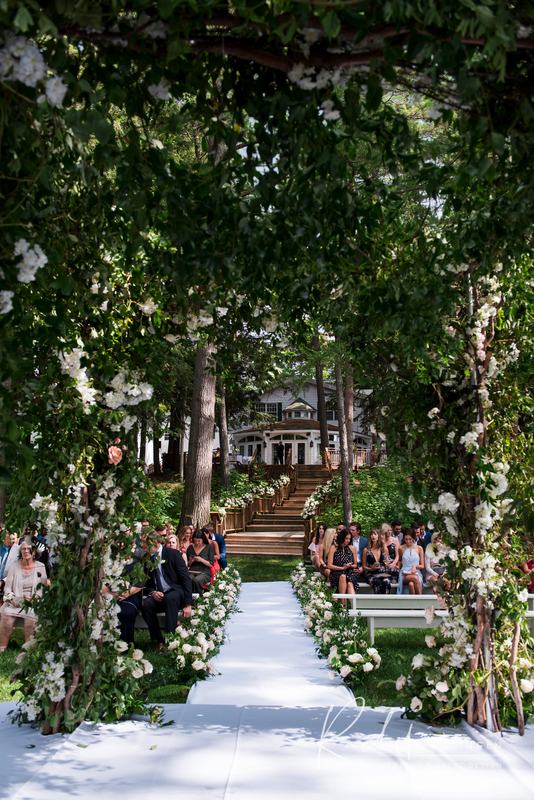 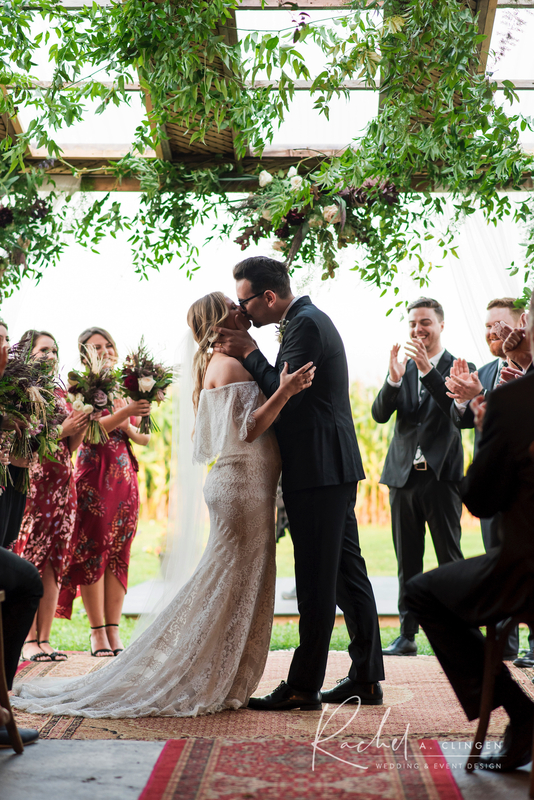 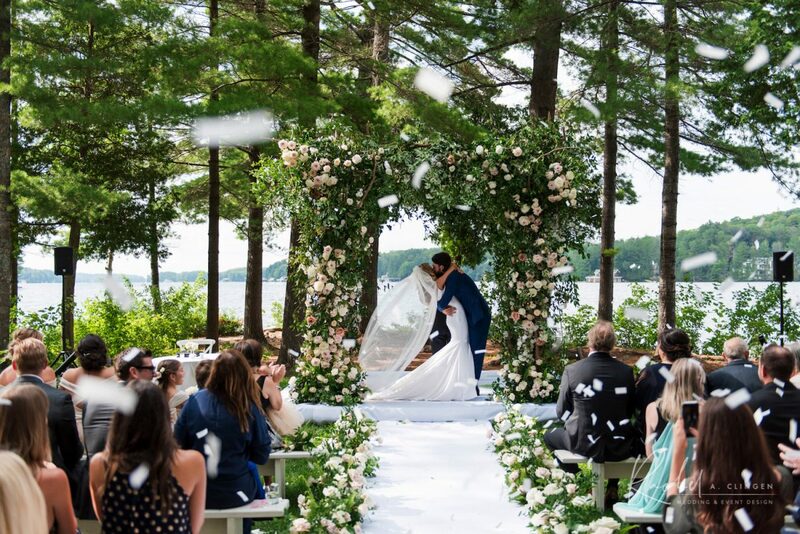 Our creative team designed a stunning overgrown of sorts, floral canopy for the ceremony that fit right into the Muskoka canvas. 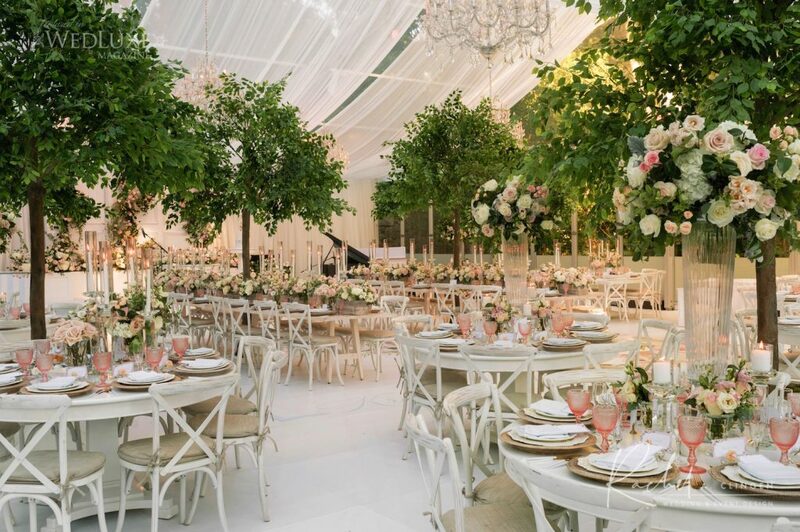 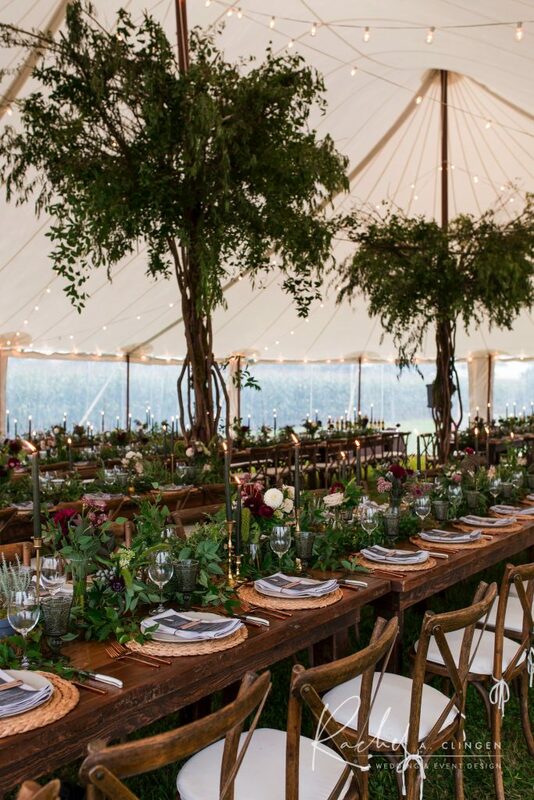 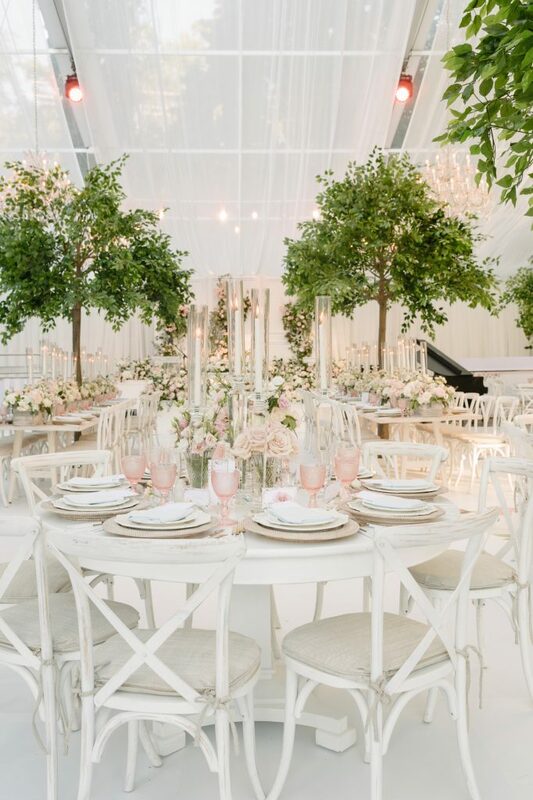 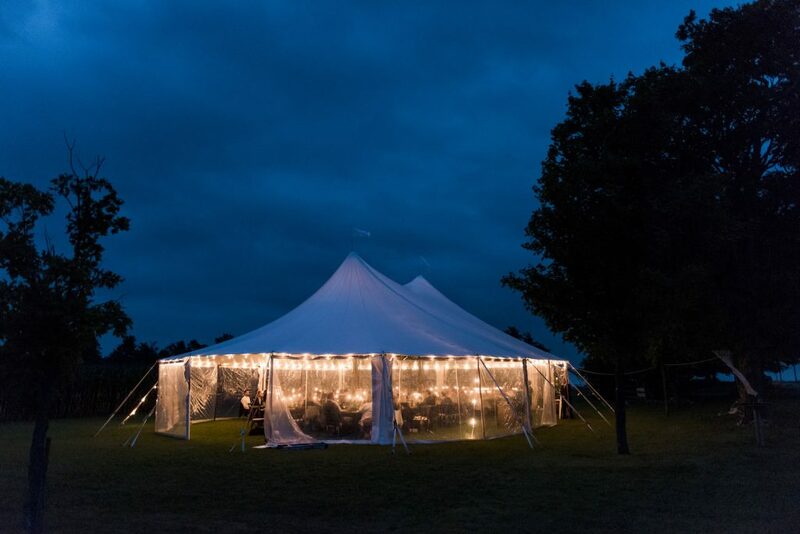 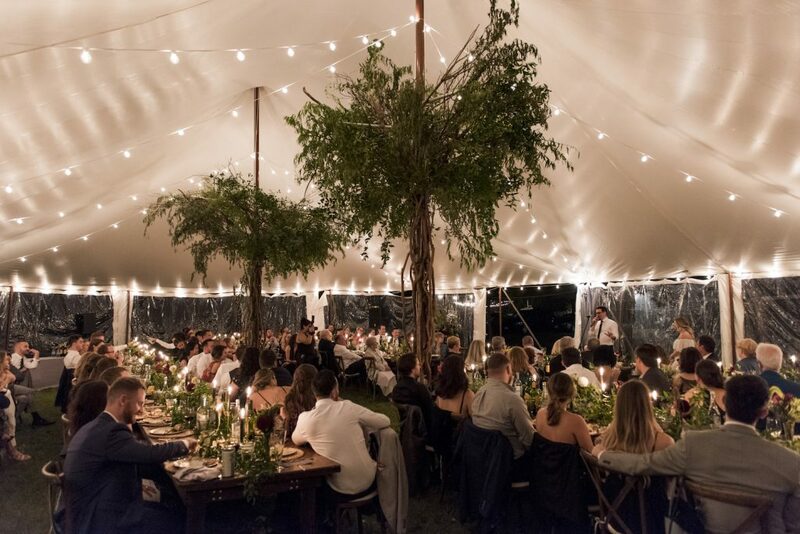 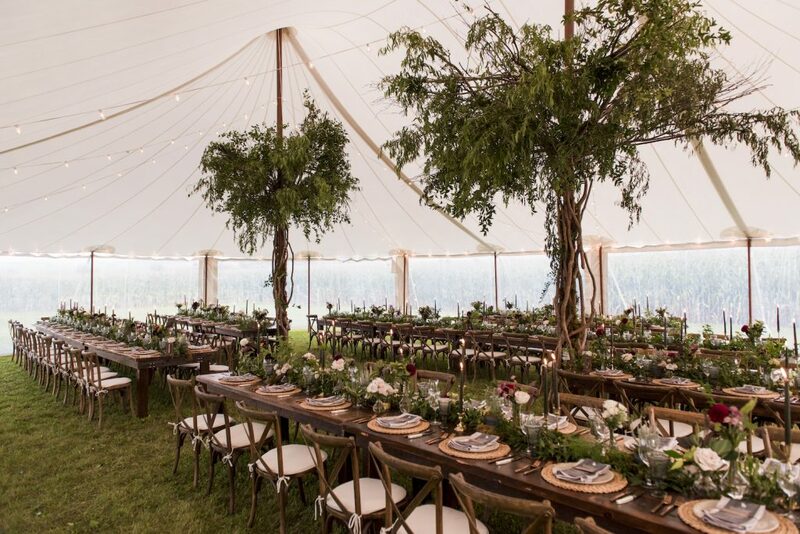 Guests would gather later under a tent for dinner and dancing. 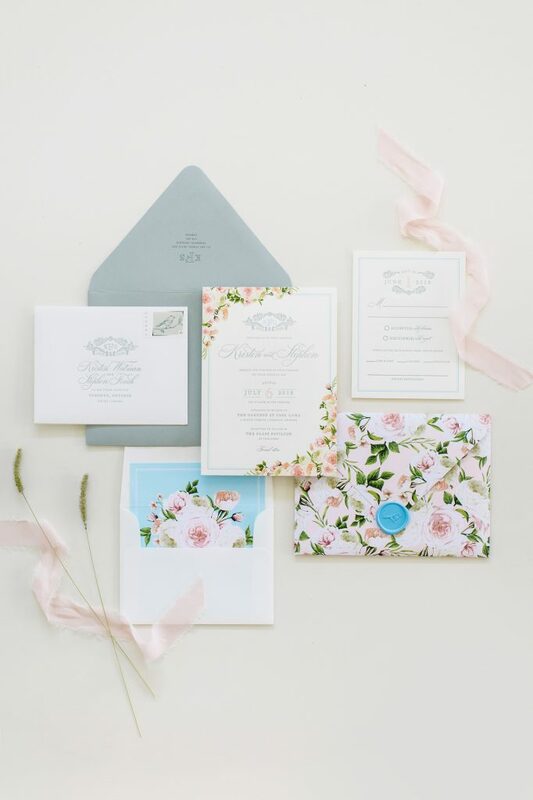 planning – Ashley Pigott Events, floral and decor – Rachel A. Clingen Wedding & Event Design, Photography – 5ive 15ifteen, tent – Premier Tents, chairs and tables – Detailz, stationery and bar graphics- Paper and Poste, cake – Nadia and Co., Draping – Eventure Inc. rigging – Sole Power, hair – Fancy Face Make up – Georgia Colero chandeliers – Contemporary Furniture Rentals venue – Sherwood Inn.